Starting and running a small business is one of the most challenging undertakings any entrepreneur can pursue. It requires you, the owner, to wear more hats than you ever thought possible including that of administrator, marketing manager, HR head, management, and more. This may be your first foray into IT as well, which is the primary reason small business WordPress themes exist. Starting a small business website or blog on WordPress is the only way to go. It affords you the opportunity to try out many different looks using premium and free themes and offers you nearly endless scalability so your business has room to grow. Over the years, we have designed, developed and deployed hundreds of websites for small to mid-sized businesses and non-profits. In all but a few cases, those websites were built around the WordPress content management system and not once have we heard back from anyone that they wish we had steered them in another direction. The intuitive platform lends itself well to customizability. WordPress now powers the vast majority of small business websites in the United States and a large portion of the global market as well. One source notes that WordPress constitutes >60% of global CMS use by small businesses while another estimates an almost mind blowing 65%. With adoption numbers like these, you can understand why WordPress is the best option for most small companies. You’re getting a mature piece of software that has been tested for years in the wild and has an enormous community standing behind it. What follows is our full collection of current WordPress themes that cater to the small business market. 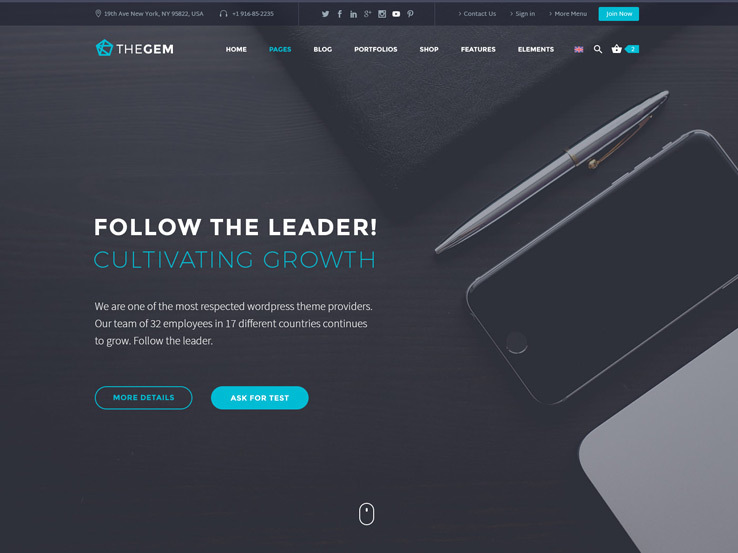 TheGem is a brand-new high-performance creative WordPress theme, which delivers over 40 unique design concepts with everything your corporate website could need: company profiles, project/product showcases, flexible impressive slideshows & galleries, full responsive news timelines, testimonials, and much more. The theme is made for large variety of business industries, corporations of any size, agencies, and freelancers who want to grow their businesses. 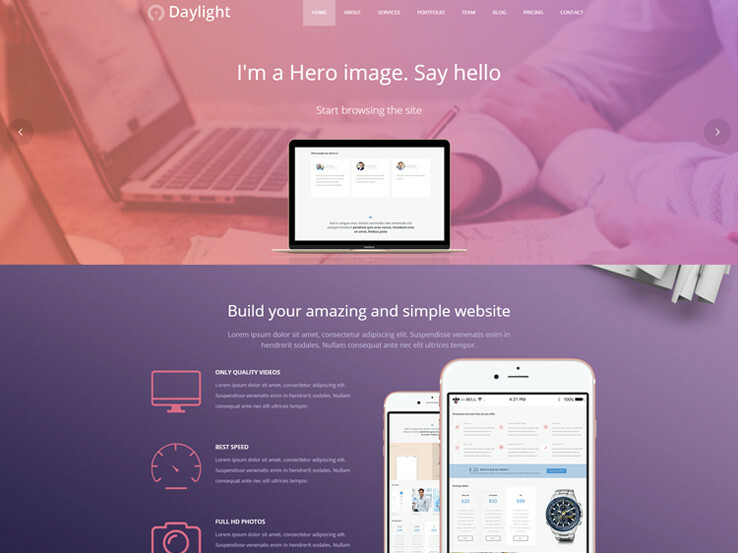 Daylight is a powerful multipurpose business theme complete with a video section to supercharge your marketing, pricing tables, and integration with Google Maps so customers can easily find your location. It is perfect for creating a business website for corporate, eCommerce, creative agency, portfolio, and other purposes. The Daylight theme comes with plenty of customization options and sections for services, portfolio or project, team members, and a blog that can be useful in sharing your expertise and acquiring search engine traffic. In terms of extras, you’ll find social media widgets, a drag-and-drop page builder, Google Web Fonts, pre-made page templates, and much more. 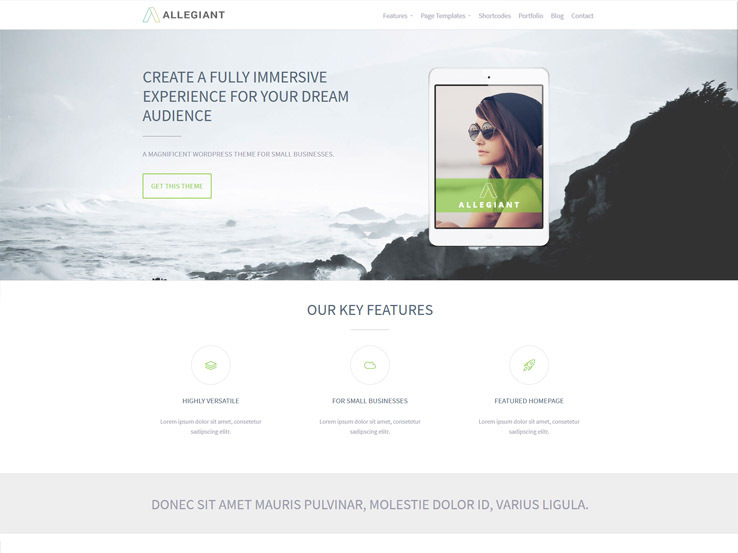 From CPOThemes comes Allegiant, an elegant, responsive and highly versatile WordPress theme for small businesses. It comes with an impressive set of features that includes a team members functionality to present your employees, portfolios to showcase your previous work, and testimonials to boost your credibility. The blog can be useful in sharing your knowledge and generating more traffic to your website from search engines and social media, while eCommerce integration allows you to sell your products online within minutes. The template is highly flexible, meaning you can easily customize it to suit your specific business requirements. Every page and post can have its own custom layout and you’ll also find an intuitive and powerful theme options panel to control your site’s appearance. Besides, there are unlimited color and typography options for branding, translation tools, and custom widgets and shortcodes to simplify your website creation process. 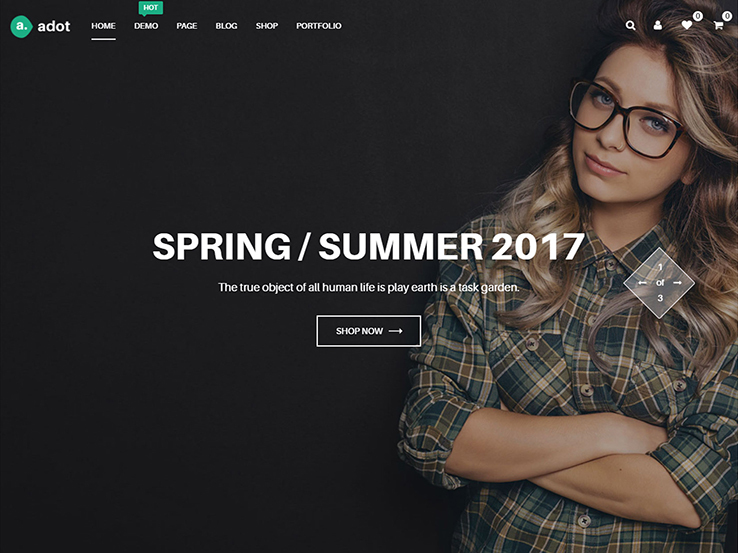 Parallax One is a gorgeous one-page theme with stunning parallax effects and plenty of built-in features. 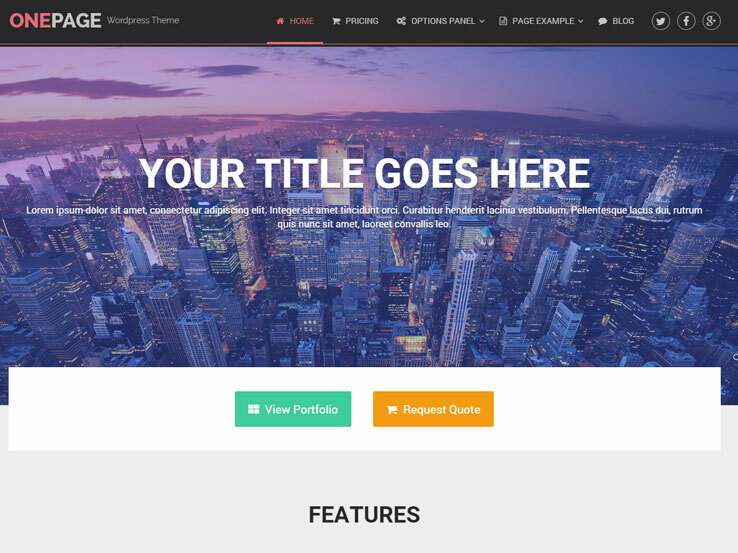 It’s a free theme developed by ThemeIsle and offers so many options that it’s hard to believe this theme comes without a price tag. The front page immediately captures your visitors’ attention with a full-width header that can be used to place a call to action or a custom button. Below the header is plenty of room to include a brief overview of your company and to show off the members of your team. The bottom section includes a dedicated space for your social media icons and a contact form that allows potential clients to easily get in touch with you. There are also dedicated sections for different calls to action which is an excellent way to encourage user interaction. When it comes to customization options, every aspect of the theme can be adjusted to your liking through the theme options panel. You can even add Google Maps to easily display your location and add an online store to sell your products thanks to integration with WooCommerce. Parallax One is fully responsive and cross-browser compatible, ensuring your website always displays at its best. 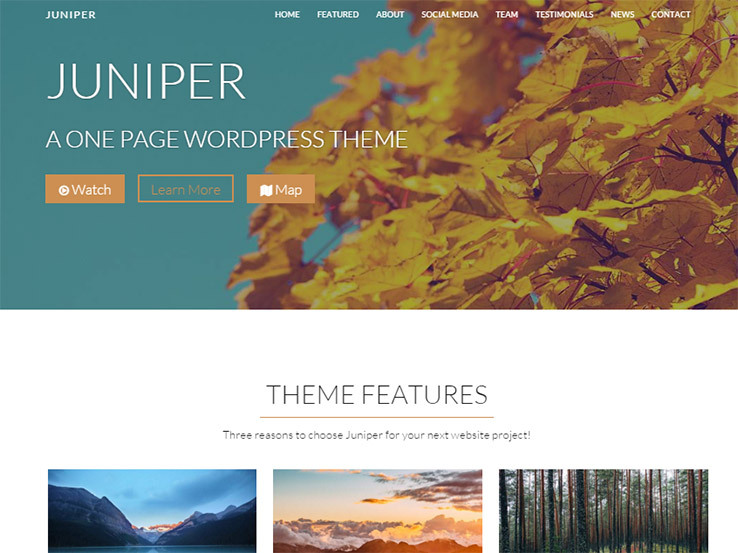 Juniper is a beautiful one-page theme from ThemeShift featuring a parallax design and a quick and easy setup. The front page has smooth scrolling allowing your visitors to easily transition between page sections. The sections make it easy to display your company’s history, team members, social media icons, and a contact form. You can insert several calls to action as well and use them to build your email list or otherwise get the user to take action on your website. Finally, the bottom of the page includes a blog section which displays your latest post. This theme is fully responsive and comes with unlimited support. Considering Juniper allows for plenty of customization through the intuitive WordPress customizer, you can easily make adjustments. Upload your own logo, change colors, and add custom widgets to your website to control the layout. Additionally, this theme includes a set of SEO options which you can tailor to improve your website’s visibility. And if that’s not enough, you can further extend your website by adding WooCommerce and turning your website into an online store. Juniper is truly an impressive business theme that’s sure to make a great first impression. 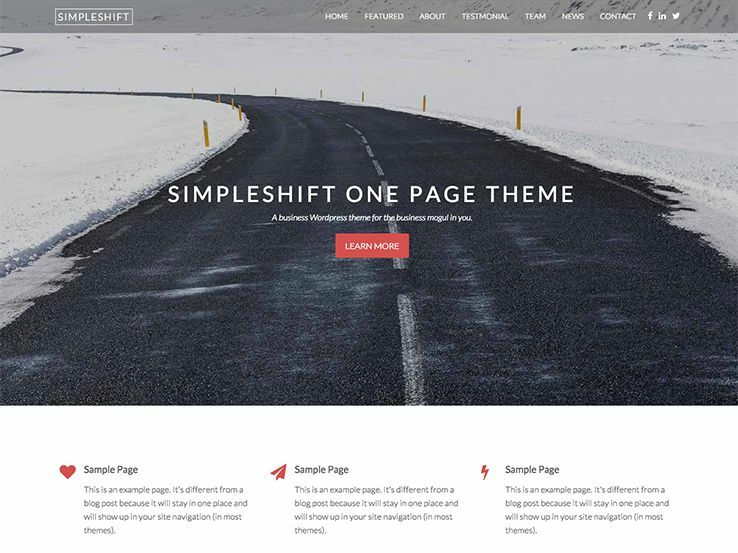 The Simpleshift WordPress theme is a stylish and sleek option for small businesses that want a one-page layout. This is a flexible one-page design, ideal for small and midsized businesses because you can connect with people easily with the scrollable layout. Why is this such an advantage? Well, since so many people are accessing content on smaller devices, it makes sense to put the majority of your information on one page. It comes with cool parallax backgrounds, which can help highlight your call to action text and buttons, as well as icons and column settings for featuring your services. Call to action buttons can be scattered throughout the homepage, while testimonials are available for you to customize and insert anywhere you’d like. Testimonials are great for improving conversions, so you only need to grab a few happy customers and ask them for a quick quote. The “Meet the Team” module has areas for you to display images of your staff, along with social media buttons and descriptions. Rounding out this theme are a latest articles widget, social media buttons, and a contact form for keeping in touch with your customers. If you’re in the market for a WordPress theme for your small business or startup, Venture theme from Nimbus needs to be at the very top of your list. 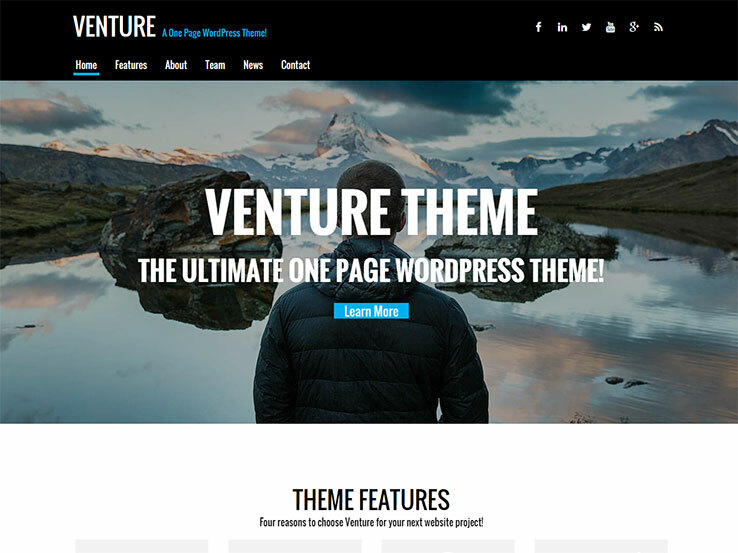 This theme offers all the features and functionality that you’ve come to expect from the top theme companies. As a one-page theme, your visitors will not have to search multiple pages to find the information they need; just a few clicks and the the smooth-scrolling menu will deposit information directly where it needs to be. Scrolling around the page activates a wide array of parallax and motion effects that are pleasing to the eye and draw attention to the most important content on your page. All small to mid-sized business will find this theme is the perfect fit. Creative companies can build beautiful portfolios, professional firms can build informative websites, and trades will stand out from the competition. Best of all, this theme would be the ideal fit for a freelancer or independent contractor who needs a sales page to promote their services. One of the newest and most popular themes in the Nimbus Themes collection is Lara. This theme offers all the bells and whistles of the multi-purpose themes from other companies but comes with our relentlessly friendly support and the backing of our entire team-from developer to designer. With the Lara theme, you can choose from dozens of banner options that you can display on any page or post. These options include full-screen image and video banners as well as full-screen slideshows with fill-to-fit features. You’ll also have the option to choose between six content column layouts including full-screen, one sidebar, and three column options. 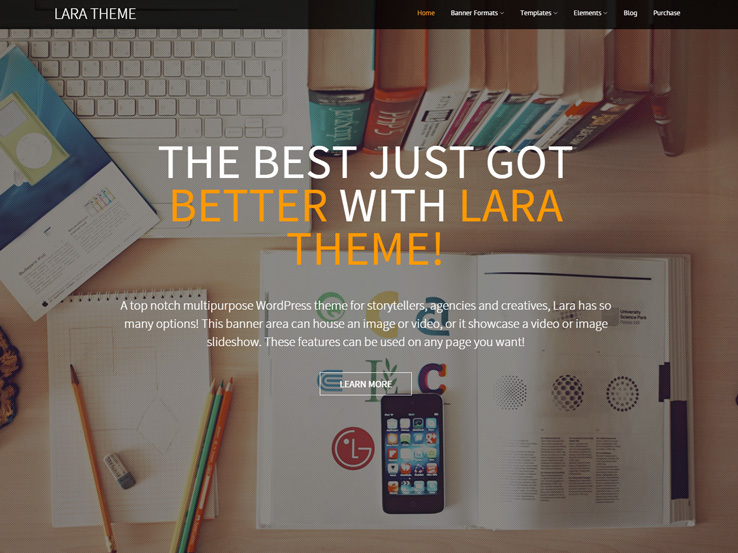 Consider the Lara theme if your business is interested in a one-page website that reveals the majority of your content in a simple, and professional format. Many themes offer this capability, but not all of them look great when it comes to mobile devices. Lara, on the other hand, morphs your media, blog posts, and banners so that all viewers can see them perfectly, regardless of the device they use. You receive six different blog layouts, some of which display full articles, while others offer tiled images. The typography options are all provided through Google Fonts. Beginners and advanced users alike can use the Lara theme, but if you really want to get your hands dirty, the custom CSS editor allows you to do that. All businesses require a social presence, so this theme offers several branded buttons that send people to your most popular social platforms. A full header area has the tools for you to explain what your business does, while also showing buttons and text that look great on items like tablets and phones. Along with testimonials, team images, portfolios and various widgets, the Lara theme has what you need to make your business stand out in the digital age. When seeking out a small business WordPress theme, consider one that consolidates most of your content onto a single page. This way, your customers don’t have to scramble all over your website to locate information about your past work, employees, and services. It also pairs nicely with mobile responsiveness, since clicking from page to page is often tedious on smaller devices. 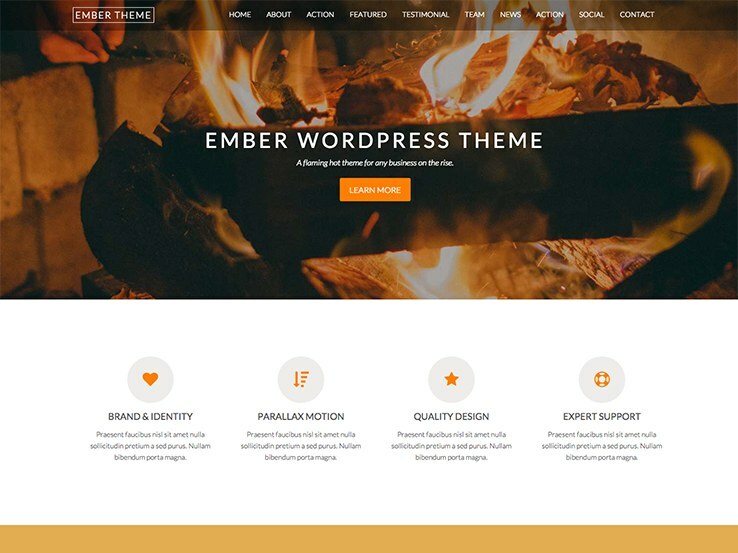 The Ember WordPress theme is responsive and formatted into a one-page layout, enabling you to feature your best stuff in one area. 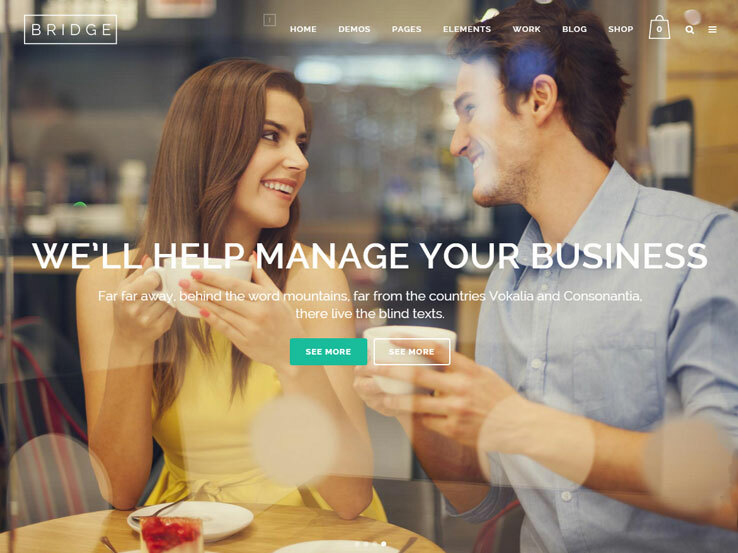 This is a parallax theme that screams out to entrepreneurs and startups, considering it has shortcodes and scripts for quickly implementing items like buttons and columns, along with photo-friendly layouts for more image-centric companies. The versatile color options are ideal for constructing your brand image, and social media buttons ensure quick connections. 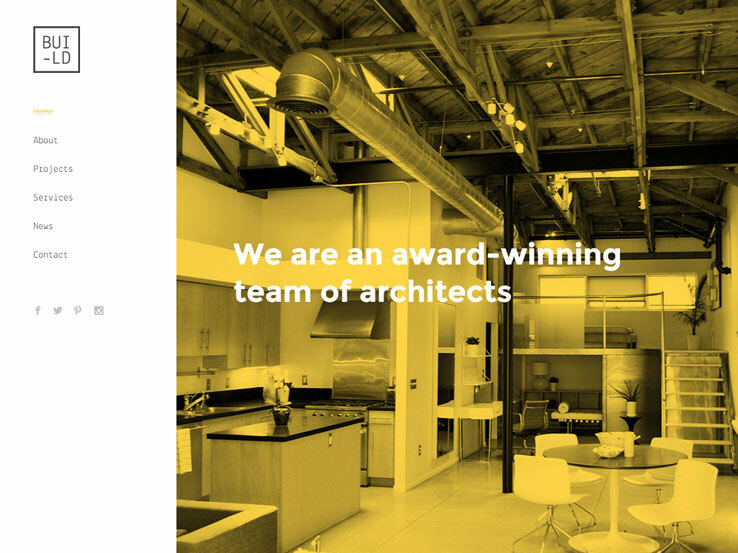 Upon landing on the demo, you’ll notice a beautiful parallax header, great for companies that want to show off a large image with a lightweight animation effect. Several icons come along with your theme so that you can structure your service listings in a reasonable format and include visual elements as well. For example, you may tell people that you provide web design and app design services, then you can lead them to additional pages that tell them about more details. Call to action buttons can actually be scattered all over the homepage, and the “Meet the Team” row gives your employees the attention they deserve. 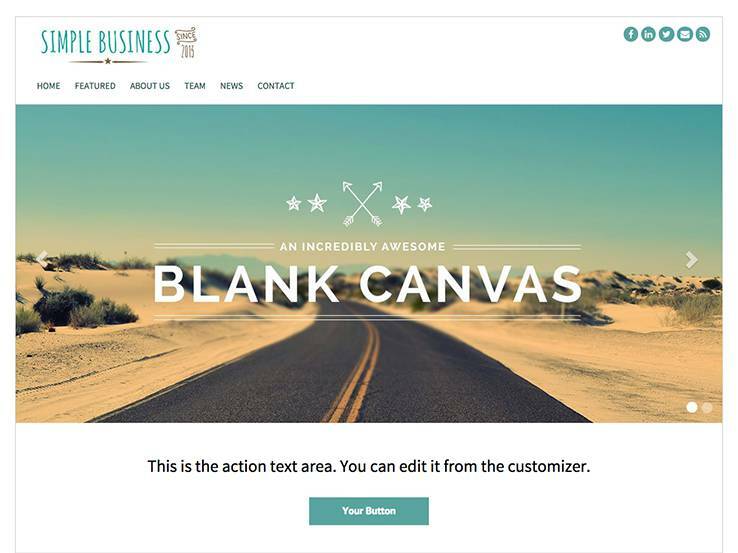 Simple Business is one of the best themes for small businesses and startups. It’s clean, modern, and scalable so your business is never trapped in a one-size-fits-all theme. It’s fully responsive and is built in HTML5 and CSS3 so you know your website is using cutting-edge technology. Other features include font icons, scroll-triggered effects, a stylish header, and a slider that’s powered by the included Revolution Slider plugin. The contact form at the bottom of the page is also a nice (and essential) touch. Clean and modern, Simple Business offers a straightforward, versatile, and customizable interface for your business. To start, you’ll notice a slick and feature-rich interface from both the front and back-end. The Font Awesome icons and Google Fonts pair well with the overall responsiveness of the theme since people can actually read your content when viewing on small phones and tablets. The multiple page layouts are a nice touch, while the slider options look great on mobile and regular devices. This is a photo-friendly theme, providing some interesting areas that crop and shape your images for you. The multiple front page layouts are there to show featured content, optional sidebars, and page content, all of which you can swap in and out at your leisure. This is wonderful for all designers since it not only cuts down on development time, but you know the elements are going to show up on mobile devices. The clean code ensures that your site is always running quickly, while the custom CSS capabilities open up doors for the most creative designers out there. Cleanliness is the hallmark of the Simple Business theme, and it shows with the white background and clean lines. In addition, you receive social media buttons, a blog, and an area to showcase the folks on your team. Simple Theme is a classic member of the Nimbus Themes collection and one that has been downloaded hundreds of thousands of times over the years. It’s fully responsive, meaning it looks amazing on mobile devices and it comes with an awesome array of frontpage layout options including a range of slideshow and banner layouts to make your website look perfect. Like all the Nimbus Themes products, this theme comes with unlimited support and access to the friendliest group of developers and designers you can imagine. Nimbus Themes prides itself in taking care of every customer like they are family. Hestia Pro is a premium WordPress theme suitable for anyone looking to start a business website or blog. Its multipurpose nature lends you plenty of features for attracting new customers, keeping them engaged, and of course retaining them as loyal customers. 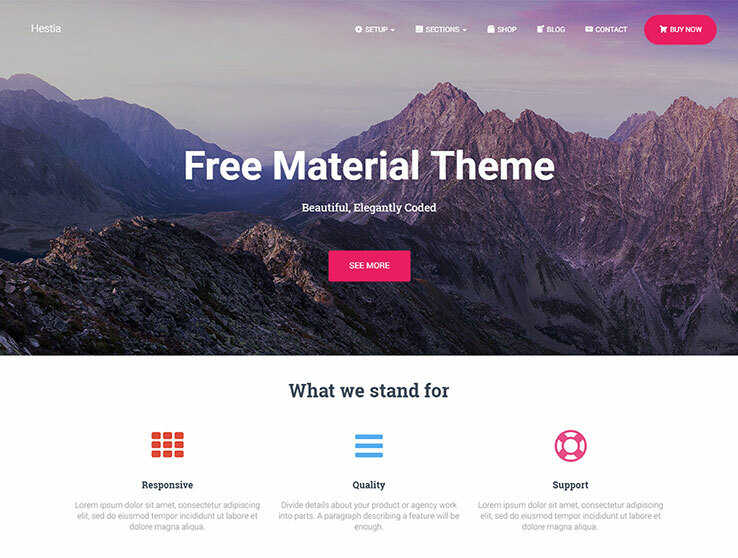 For instance, Hestia Pro claims to be the number one material design WordPress theme. Additionally, it is a one page theme meaning the cool parallax scroll effect is in place for easy content display or shop promotion. This theme is mobile-friendly and will render on all major browsers. It also works hand-in-hand with WooCommerce and the SiteOrigin Page Builder plugins for easy online shop creation. Plus, Hestia Pro has custom backgrounds for catching people’s attention, tons of customization options for branding, and comes clean and validated for increased security and fast performance. 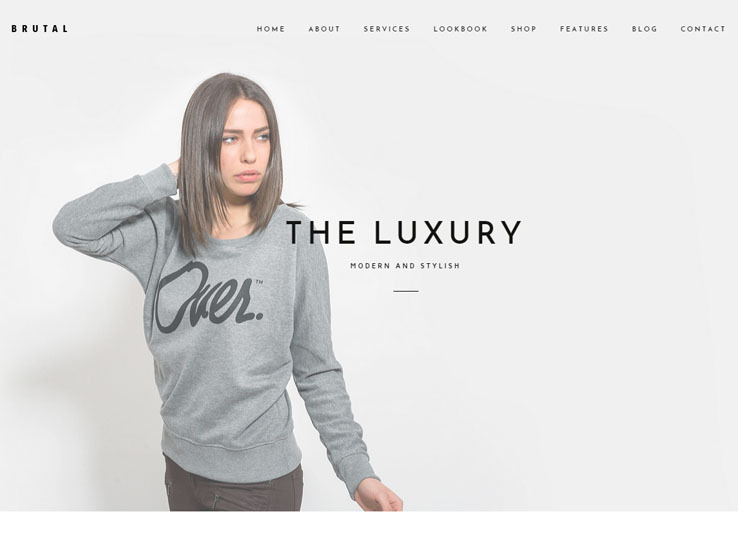 Meet Adot, a clean and modern WordPress theme with a focus on eCommerce. It integrates nicely with the WooCommerce plugin, providing a wide range of flexible eCommerce features such as product variations, sliders and carousels, wishlists, shipping options, and a ratings and reviews system. The Adot theme comes with a stylish portfolio module to showcase your best works and blog to share your knowledge and generate more traffic to your website. You’ll also find unlimited layouts, page templates, hundreds of fonts, and unlimited color schemes to match your branding. Besides, the template is translation ready and social media friendly so people can easily spread word about your business around the internet. Does your company need a website that gives off an established corporate feel? The Business theme will do exactly that. Every detail of this theme was meticulously designed to put your products, clients, and employees front and center. If you need to compete with the established firms in your industry, this theme will position you to win. A Nimbus Themes offering, Business comes with a header slider, an announcement widget, social media buttons, shortcodes, a contact form, tables, tabbed content, and sections for your team, past clients, and more. 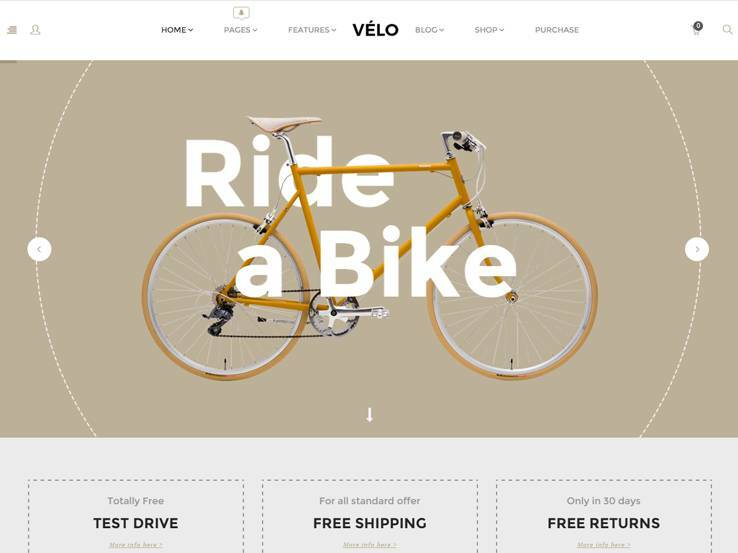 Velo is a modern, hip, and urban bicycle shop WordPress theme that offers everything you could ask for when setting up a website for your small business. The theme is fully responsive and comes packed with a wide range of design options for your shop pages, blog, and product listings. The Velo theme is designed to work seamlessly with the popular WooCommerce plugin so setting up your shop, adding products, completing sales, and tracking your sales is a breeze. Additionally, Velo comes packaged with premium plugins like Revolution Slider, Visual Composer, and Advanced Custom Fields. The Construction WordPress theme is a modern and fully responsive small business template specifically designed for the needs of construction companies, contractors, plumbers, tradespeople, and others in the building industries. It is brought to you by WPCharming, the team behind popular themes like HumanRights and Chicago, which are both available through Themeforest. This theme comes packaged with the powerful Visual Composer drag-and-drop page builder, making it easy to transform your blank theme into a rich construction company website. The responsive layout will automatically conform to any size browser window or screen size so your website will look great to every visitor. Additionally, the Construction theme has a fantastic range of theme options making it simple to match your website perfectly to your company’s brand. 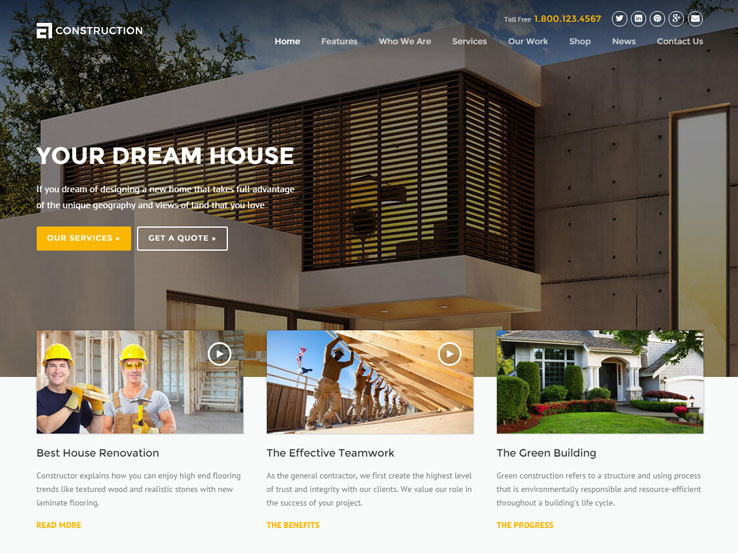 If you’re building a website for any kind of construction related business, we strongly recommend trying the Construction theme. 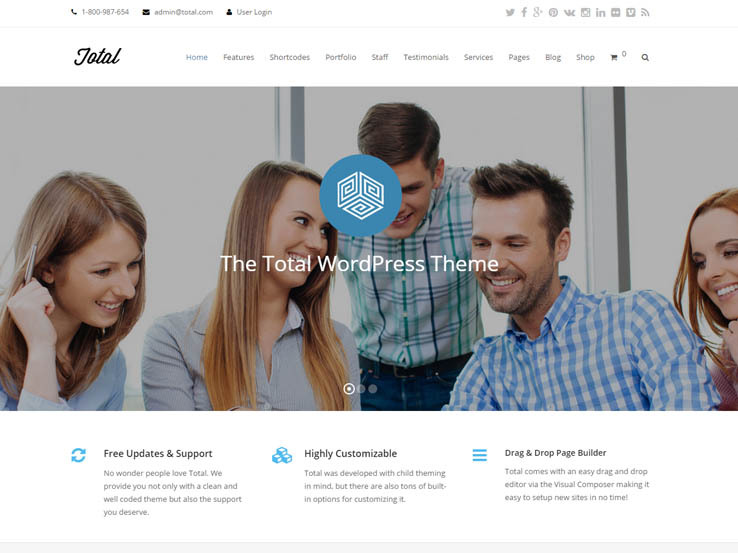 Total is a fully-responsive, contemporary, and beautiful WordPress theme from WPExplorer, the same folks that brought you PhotoPro theme for photographers, Earth theme for non-profits, and Office for businesses and professionals. WPExplorer is known industry-wide for providing friendly, helpful support and superior quality themes. The Total theme will work equally well for nearly any small business or startup. It’s fully responsive with a theme options panel packed full of powerful customization options. From the first minutes after activating this theme you will find useful features like a customizable Under Construction page and recommended plugin notices so you get the most out of your new theme. It supports all of the most important plugins like Visual Composer and WooCommerce so you’ll never feel constrained. 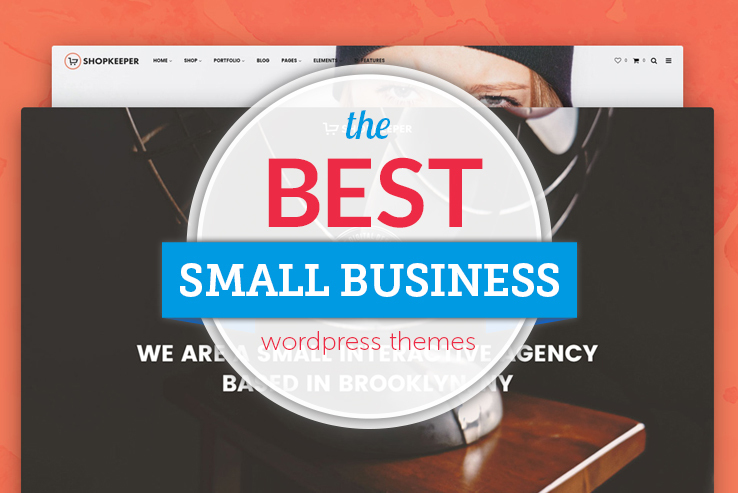 The Total theme is a must-see regardless of your business type. Launching your startup with WordPress has never been easier, whether you are just building a coming soon page or have a product ready to sell – this complete turnkey WP theme has got you covered! It is made with using the latest tech, but it’s simple to use and isn’t littered with complex features. Just the essentials here. Start building from 7 packaged home page designs, use the drag-and-drop page builder with more than 70+ shortcodes to create any layout you wish, take control of more than 10 forms with data capture/export/Mailchimp functions, enable eCommerce, and start selling recurring subscriptions or open up a digital shop in a snap! You get lifetime support, extended help, and other powerful features to fuel up your startup. The Electric WordPress theme is a multi-purpose website template to cover every possible application you can imagine. It can easily transform from a portfolio website into an ecommerce platform, or from a small business startup info page into a fully fleshed out enterprise business website. To really grasp the degree to which this theme is flexible you should review the demo page here. The theme comes with both sticky and non-sticky header options, a form builder utility, a built-in mega-menu builder, and options for both boxed and full-width layouts. Electric is an ideal theme for any small business. This theme sports eye-catching and stunning features like dedicated sections for a portfolio, services, and skills. The latest add-on is the Advanced Contact Map Template that adds distinct value to your site. You can also design the look of your blog and Avis comes translation-ready to maximize your reach. Zerif Pro is an ideal WordPress theme for any small business or startup company that’s looking for a one-page style website template. This theme is an exceptional example of the modular row-based design trend that has become the go-to look for businesses from tiny startups to huge enterprise corporations. In addition to visual appeal, Zerif Pro is fully compatible with WooCommerce, allowing you to evolve your website into a fully functioning marketplace or membership website. Zerif Pro is one of the big hits of 2015 so be sure to check it out. 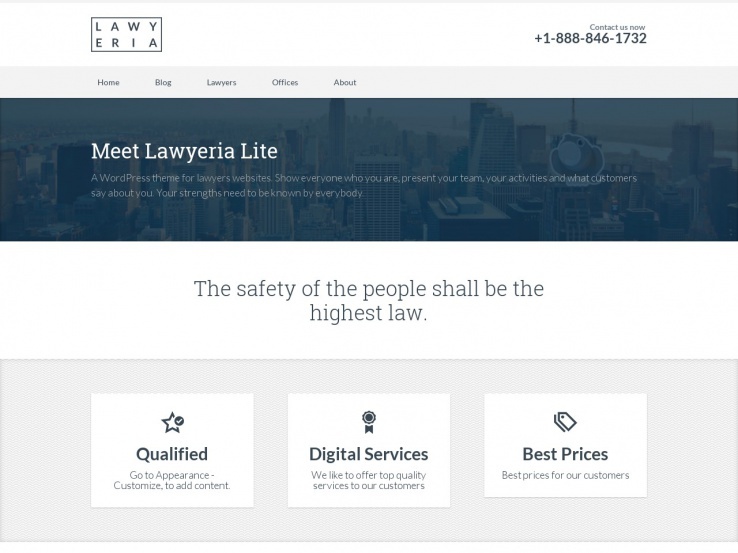 If you’re looking for a sleek, turnkey ready website template for a law firm or attorney’s office you should not miss Lawyeria by Themeisle. This modern small business theme is fully responsive meaning that no matter what device prospective clients use, your website will look fantastic. Themeisle is known for their beautiful designs and their use of clean compliant code so you know your website will perform and function well. Lawyeria displays prominent contact info, a contact form in the header, testimonials, and an all-around stylish design that’s both professional and interesting. 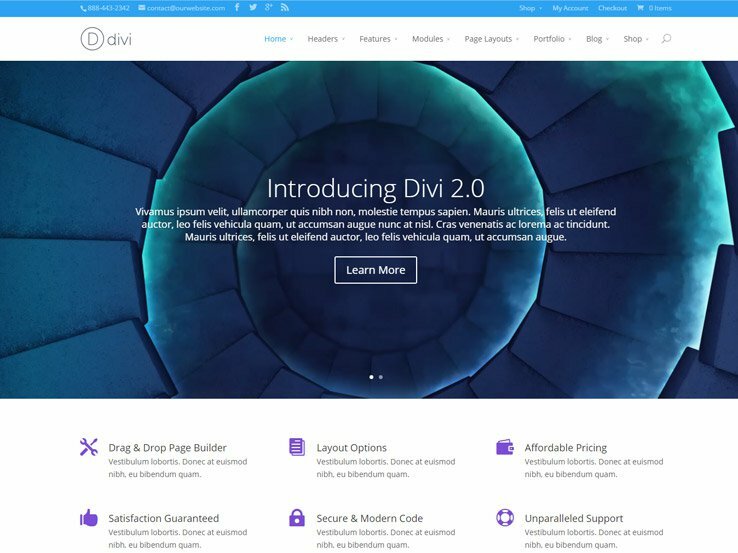 Divi is the first mega-theme produced by the great team over at Elegant Themes. This theme is flexible, modern, and fast to deploy. We’ve used it for several client websites and have found that it’s easy to use. It ships with the the Divi Builder, a powerful page builder that will allow you to create complex page layouts without having to dig into the code or use complicated nested shortcodes. Overall, we think this is one of the better themes on the market. This theme is a powerful choice that can be used to make any type of website, including businesses. Page layouts, portfolio templates, eCommerce, header options, and countless modules are just some of the features included here. 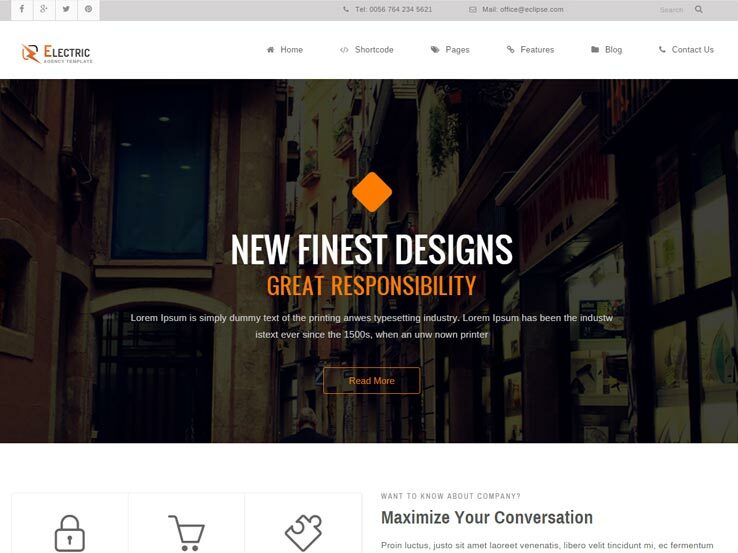 MyThemeShop offers some of the best WordPress themes for small businesses and the Entrepreneurship theme is one of my favorites. It offers both a traditional business layout and a full-featured magazine/blog look so you can represent your new company in multiple ways. The three column design is fully responsive and is optimized for retina and other high resolution screens. This will guarantee that your website looks it’s very best no matter what device the visitor is using. Entrepreneurship offers several unique visual elements like an option to display the main menu as a drop-down or a mega-menu that includes featured image thumbnails. Choose whether you want to display a full-width slideshow on the frontpage or go with a more traditional look. The Entrepreneurship WordPress theme for small businesses is an ideal platform on which to build your next company website or blog. The Business theme from MyThemeShop is an ideal small business theme that offers both a classic business website feel and a nice blogging layout. The design is neat and professional with a frontpage that allows for both featured content and latest posts. MyThemeShop has become known for creating easy-to-use templates that deploy quickly and don’t require a great deal of customization. Like all products from this company, Business is fully responsive, is retina compatible, and has been optimized for SEO. In addition to these common features, you’re getting a template that fully integrates with the WooCommerce plugin meaning you can transform your brochure style website into a full-functioning eCommerce platform with just a few clicks of your mouse. 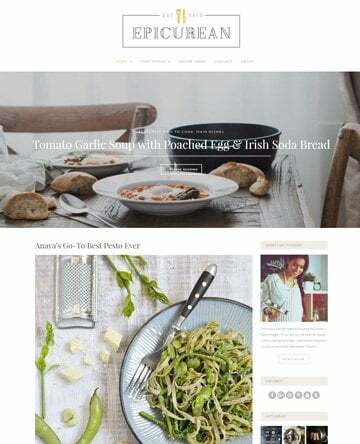 If your business venture is a blog, magazine, or any kind of modern media platform, the SteadyIncome theme may be the perfect template to launch your website. This theme includes design elements intended to assist with maximizing your subscription rate so you can collect those precious email addresses that convert into leads and revenue. 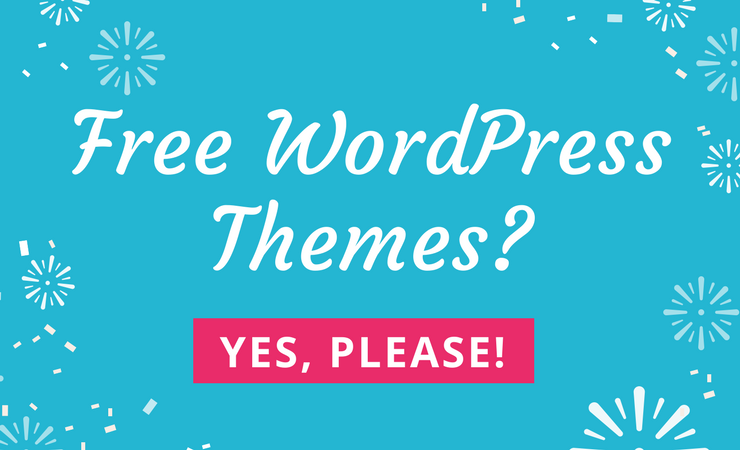 To take it even one step further, this theme comes packaged with the WP Subscriber Pro plugin so you have all the tools you need at your fingertips from day one. Another solid choice from MyThemeShop. 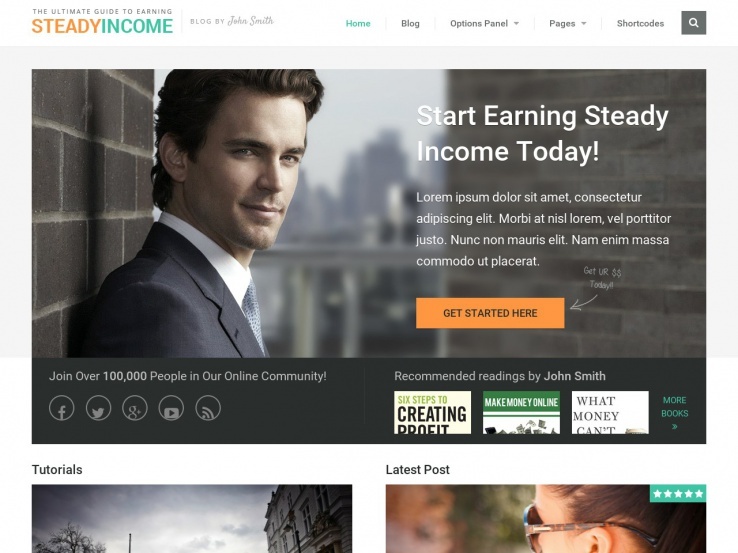 SteadyIncome is a responsive theme with a powerful subscription tool to bring in more followers. Ad optimization features are offered, and a featured products section makes it easy for you to show off your best offerings. The responsive design snaps right into place when users are looking at it on mobile devices, and social media icons are ideal for sending people to your Facebook and Twitter pages. In addition, you can build your brand by quickly uploading your own logo, and use the featured and latest post modules to organize your blog posts and improve how the search engines view your site. A great feature from the SteadyIncome theme is that you can feature all of your partners by including their logos in a slider. An author information box is perfect for giving credit to your writers, and the engaging design is known to help you boost your conversion rates. The WP Subscribe Pro plugin is included when you buy the theme, allowing you to quickly implement a subscription form and send out emails through a service like MailChimp. 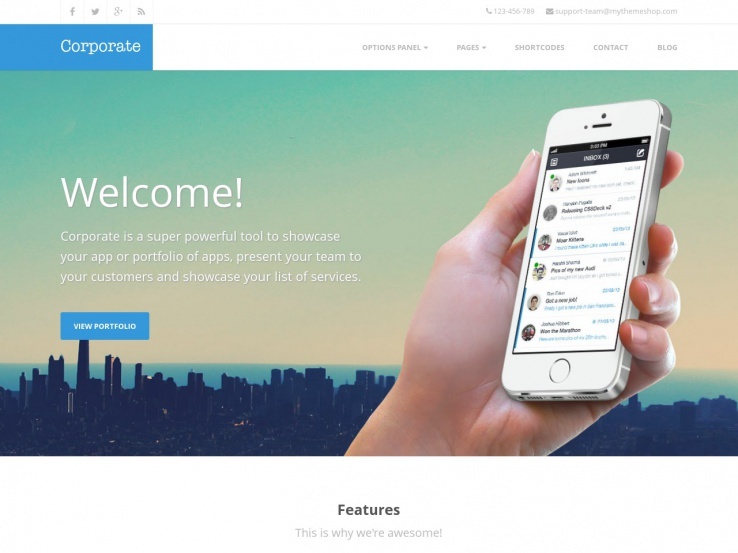 Corporate is a responsive WordPress theme that is perfect for business websites. However, it could be also used to create professional portfolio websites. Consider this theme if you’re building a website for a web design studio, a fashion brand, an ad agency, or a marketing agency. The Corporate theme has a clean and minimal layout, and it can be used for any corporate website you have in mind. As you can see from the preview, the Corporate theme looks clean and stylish. It comes with a responsive image slider and a sticky menu. In a few clicks, you can replace the default background image/background color. You can also use the Corporate theme on as many domains as you want. Also, each customer will get free updates and support. And of course, the theme is responsive, SEO optimized, and is compatible with the latest WordPress version. 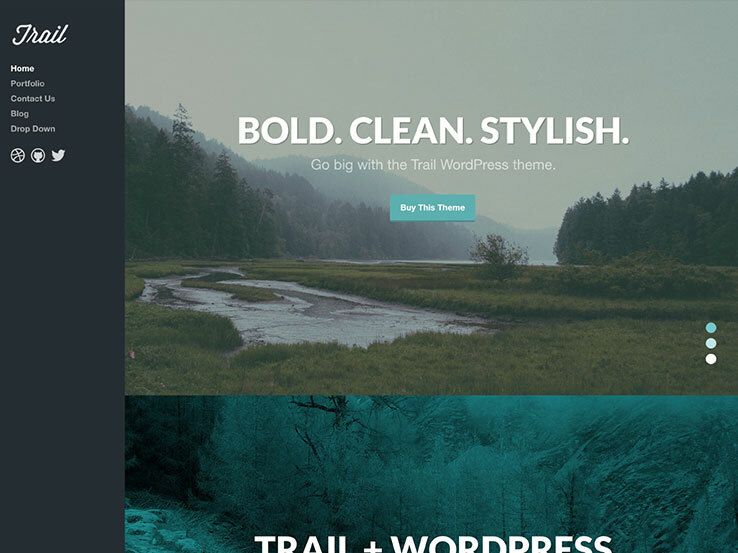 The Trail WordPress theme comes from the folks at ThemeTrust, and it serves developers well if you’re looking for an option with a responsive business focus. To start, the parallax homepage areas help you stand out from the competition, and the shortcodes are perfect for building components like buttons, columns, and tabs without any coding experience. The filterable portfolio works well for showing off your best work, and the logo upload is quick and simple. Use the custom widgets to move elements, and play around with the page templates to ensure that whenever users move around your website they are greeted with new layouts. The theme supports videos from places like YouTube and Vimeo, and it comes with a theme customizer that speeds up the development process for beginners and advanced webmasters alike. 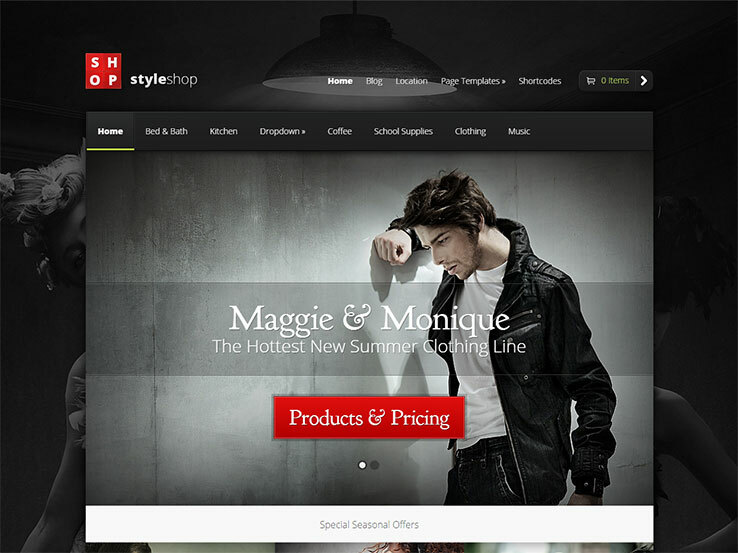 StyleShop is one of the many stunning themes from the Elegant Themes library. It’s a responsive option for viewing on mobile devices like tablets and phones, and it has a really nice background area that you can swap out to put in your own photos. Several page templates are packaged in with the theme, such as solutions for contact pages, portfolios, image galleries and more. Use the shortcodes to make items like buttons and columns without the need for any coding knowledge. You can also integrate with a plugin like WooCommerce to run your own online shop and sell anything from digital to physical products. The slider is a nice touch since you can incorporate overlaying text and buttons, both of which work well for directing people to product pages. Not to mention, you can create modules for featuring your best products, showing seasonal offers and revealing partners you have worked with in the past. Custom widgets are available for you to place in your footer, and the full blog is perfect for sending out free content to customers and improving the way search engines view your website. 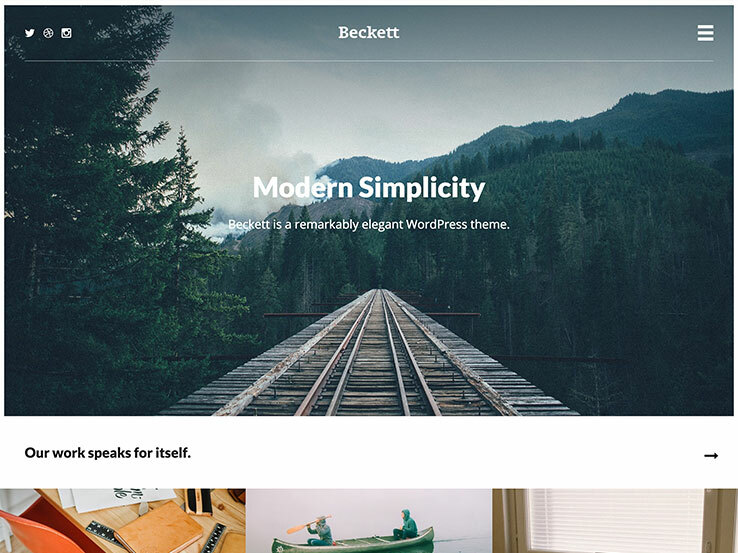 Check out the Beckett WordPress theme if you’re interested in a responsive layout with an elegant display. The responsive layout makes your content look great on all screen sizes, while the big homepage slideshow works wonders for those who would like to feature events, promotions or products on the homepage. A slideshow shortcode is also provided for beginners and advanced users alike since this helps you place your slideshows without the need to touch any source code. 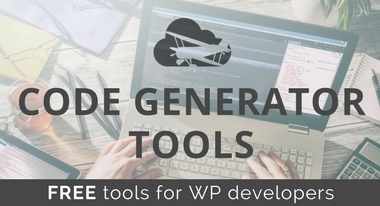 Your custom widgets are easy to manipulate from the backend, while the localization support ensures that you can connect with just about anyone who speaks a different language than you. 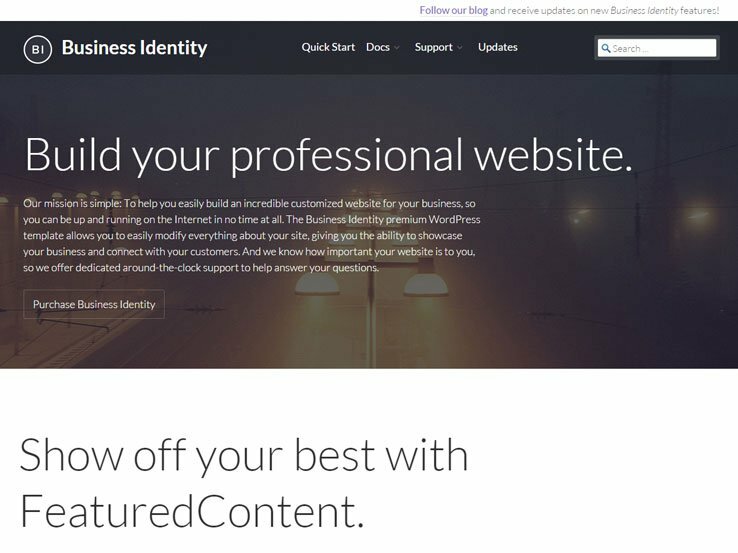 The logo upload only takes a second on your WordPress dashboard, while the testimonials module is ideal for showing users that you’re a reputable business. In fact, all you have to do for the testimonials area is upload an image and paste in a quote from the client. The video support allows for embedded videos from places like YouTube and Vimeo. In addition, the filterable portfolio is great for communicating your website to potential clients. This is where the responsiveness and filters come into play. Along with browser compatibility and a wide set of social buttons, the Beckett WordPress theme has exactly what you need to make your business stand out in a modern way. The header takes up the entire screen, so when someone lands on your website they will know your brand immediately. Consider the Root Pro WordPress theme if you’re thinking about a responsive and premium theme that works with all plugins. The multipurpose theme delivers all of the features you would need to brand your site and make it stand out. One of the main problems you’ll find with business themes is that they are simply templates with a handful of format variations. That’s not the case with the Root Pro theme, as it provides tons of colors, fonts, translation tools and more. The integration with WooCommerce is one of the more powerful we’ve seen, as it connects with your products and displays them in a modern, professional way. The translation-ready nature of the theme is made to present your written content in multiple languages. Therefore, you have a way to connect with those people all over the world, regardless of what you’re selling. You’ll notice in the homepage that a large header is present towards the top. This includes overlaying text and buttons, both of which are essential for making call-to-actions. The responsive layout is impressive as well, as it has icons, images, and written content snap into place when viewed on mobile devices without having to zoom in or make any adjustments to read the content. Trades is one the most versatile themes on this list because it can adapt to a variety of business niches. Whether you’re a large corporation or a family-owned business, Trades has everything you need to create a standout online presence. The admin panel is one of the nicest we’ve seen, with a multitude of customization options that allow you to control every aspect of your website. The color picker alone is great for adding a touch of your brand to your website. With over 600 fonts and various header layouts, you can rest assured that your website will stand out from the competition. The theme also comes with two predefined skins or you can easily create your own variation. 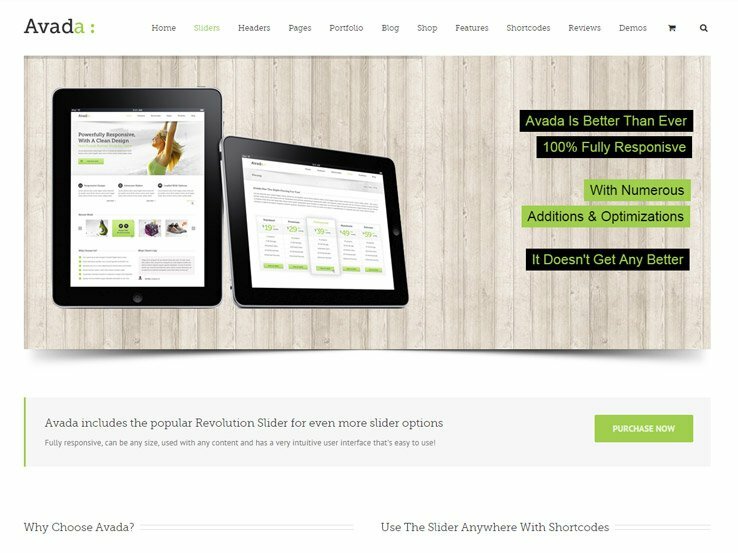 The Avada theme is the all-time best-seller on ThemeForest. It’s clean and bright, incredibly flexible, and offers all the tools and features that you would expect in a business theme and then some. There’s no question that Avada is one the very best WordPress themes to hit the market in 2014 and you should absolutely take a look at the demo to see if it’s a fit for your business. Just some of its features include parallax sections, full-width layouts, sliders, galleries, portfolio templates, sticky navigation, prominent calls to action, hover effects, widgets, and more. It comes packaged with industry-specific demos that you can import the content from so your site can launch within minutes. 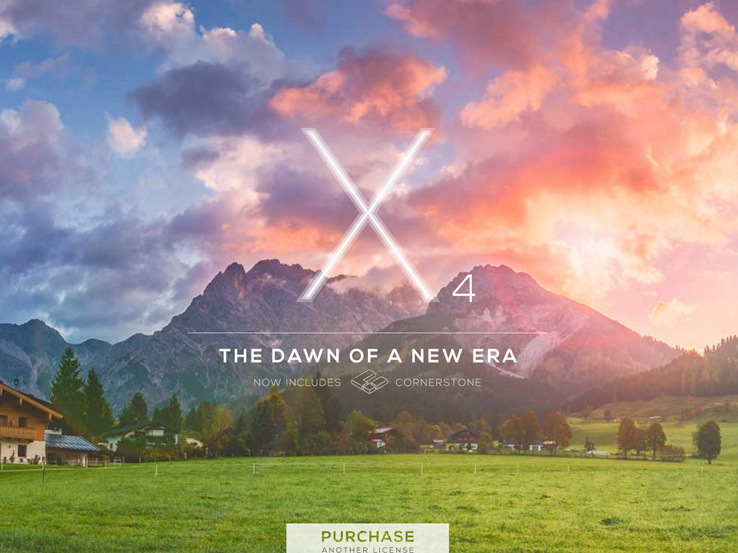 The X theme is one of the great WordPress business theme success stories of 2014. 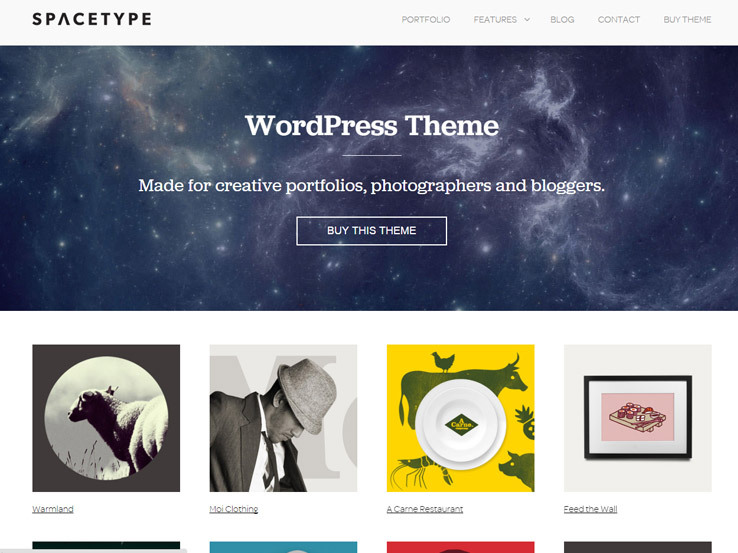 This theme is huge, flexible, beautiful, and priced right to sell… and sell it has. As of Sept 16, 2014, the theme has been sold 25,581 times! These numbers tell you a little bit about how well this theme is designed to attract buyers, and as a user, to attract customers. 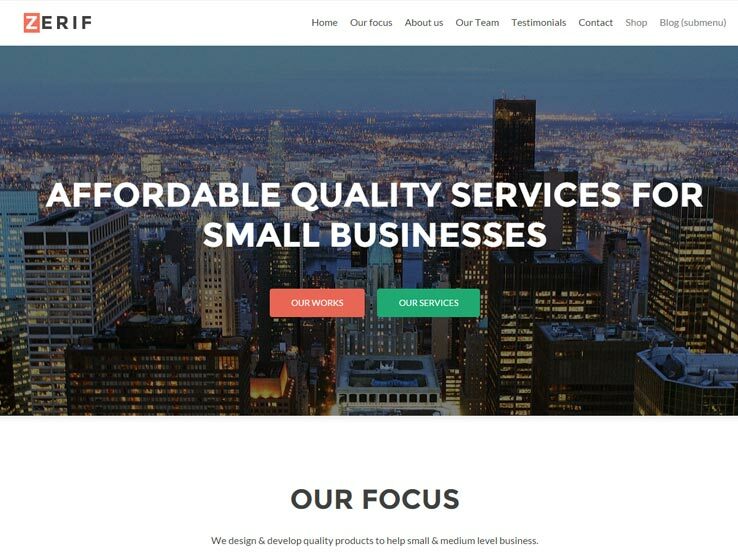 If you’re looking for the best small business WordPress theme for your company, this might be the one. It comes with numerous features so you’re never left wanting for options, including unlimited pages, creative, fully-functional demos, category filtering, carousels, sliders, galleries, tons of extensions, and the Cornerstone WordPress Page Builder for easy drag-and-drop site building. Jupiter is a flexible multi- or one-page business theme that we’ve used several times for clients who have all raved about the results. This theme is simliar to Divi or Avada in that it’s packed with tons of features and options, so plan to spend a few hours getting to know the theme before you start with your production work. It comes with great parallax layouts and a mass of shortcodes and widgets to play with. This is one of my top ten themes for business websites. Business Identity is a quintessential small business theme that I would use for almost any application. It has great lines and a straightforward layout. 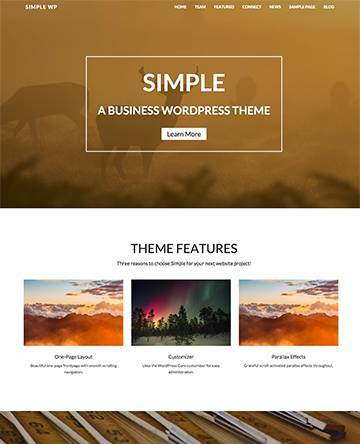 There’s nothing flashy about this theme, but it would make a fantastic base upon which to build a website for a local business or professional. The theme is responsive, so it looks great on small devices as well as your desktop computer. It’s also retina-ready and features bold typography, a homepage template, customization options, and full support. Sometimes you find yourself looking for the kind of theme that doesn’t go overboard with the bells and whistles and would be comfortable for an older or local audience. You’d be surprised how hard these kinds of themes can be to find anymore as we in the theme community are racing to create the next parallax scrolling, animation-filled, masterpiece. 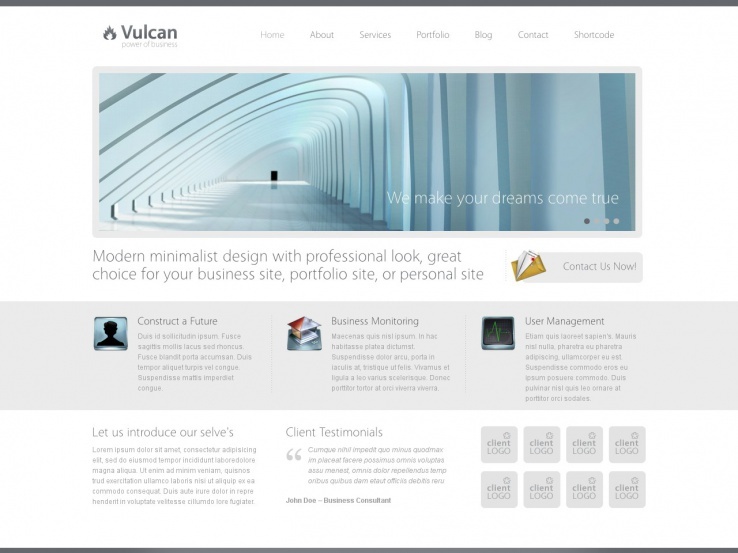 Vulcan is one of those simple themes that might not shine the brightest but would be a perfect fit for a lot of small business startups. It acts as a great frame for your website by performing well then getting out of the way. The MetroStyle theme’s design is built around the popular Metro Tile aesthetic pioneered by Microsoft in the Windows 8 operating system. 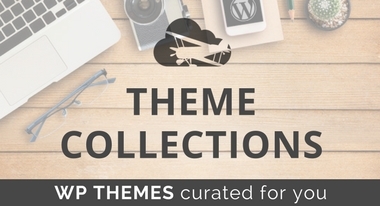 It’s a popular theme on ThemeForest. As you would expect, this theme is fully responsive and mobile compatible. This theme comes with support including Sidekick, a set of interactive walkthroughs that guide you through the theme setup process. It also comes with unlimited colors, shortcodes, two blog layouts, portfolio pages, and more. The Supernova theme comes packed with tons of tricks and fancy layout options. On the plus side, it’s possible to create an amazing website with flowing slideshows, parallax, and transparencies. On the downside, it takes a little more playing with to get looking exactly like you want it so plan on a learning curve. This theme comes packaged with the Revolution Slider and Flexslider, making this theme a great value. 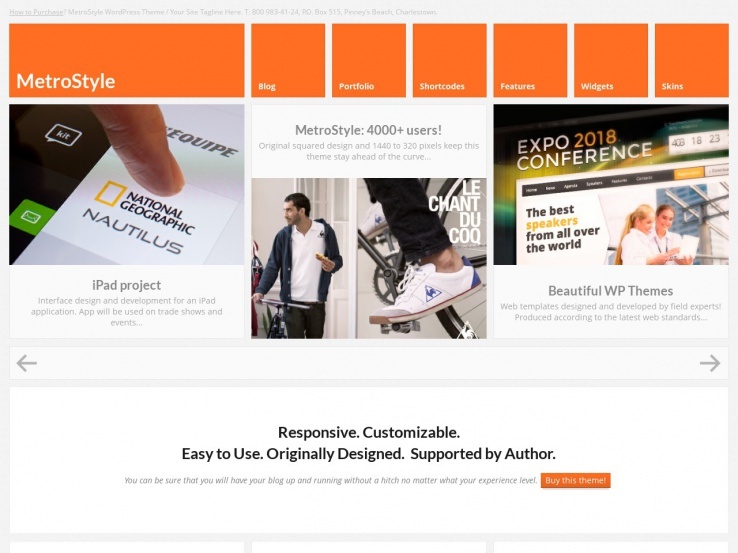 The One Touch theme is another metro-style WordPress theme building on the popular look from the Windows 8 OS. This theme ships with the Revolution Slider, LayerSlider, and Visual Composer, which make building a site as easy as point and click. Buying these plugins on their own would cost over $50 so your savings add up. If you’re a fan of the metro UI look, this is one of the best examples of this aesthetic that we’ve seen. It comes with page templates, shortcodes, theme options, WooCommerce compatibility, and full support. 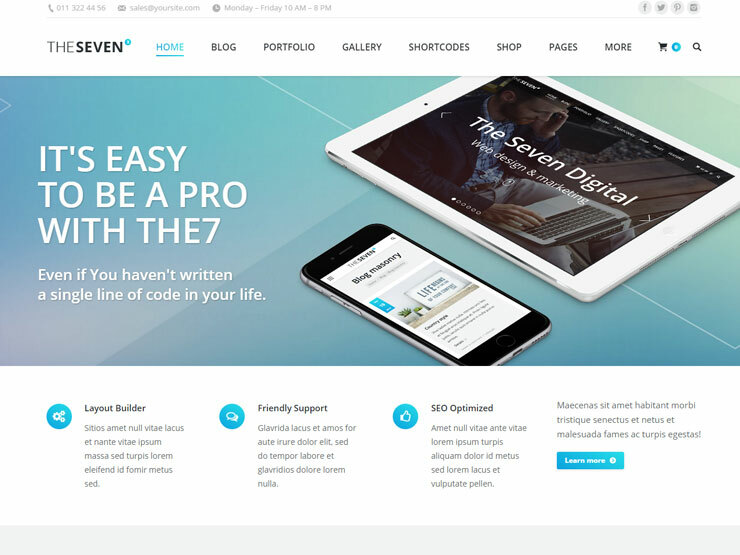 The7 theme is one of the most flexible WordPress themes on the market. Take the time to peruse the demo fully and you will find a seemingly endless amount of layout options that sport features like slideshows, portfolios, landing pages, blog layouts, and much more. It’s also responsive and comes with a design library, a design wizard, and Visual Composer for easy drag-and-drop site building. It also comes loaded with numerous ready-to-use demos, updates, and full support. 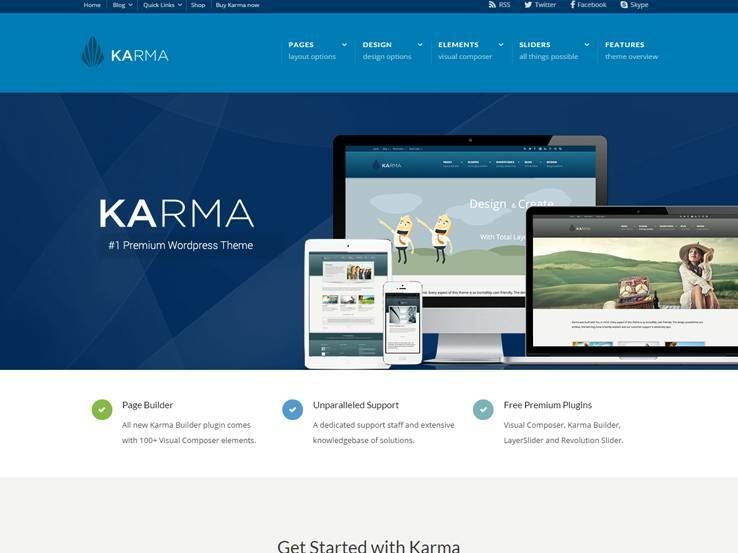 Karma is a best-selling and traditional small business theme for WordPress. If you have a hosting company or any other technology business this would be a great fit. I would also look to use this theme for consulting, financial, and training oriented agencies. The demo strikes a dark mood, but there are a huge number of theme options that allow you to transform this into a much brighter palette if desired. Other features include a responsive design, 16 page templates, 60 color options, unique page styling, Visual Composer, automatic updates, support, and more. 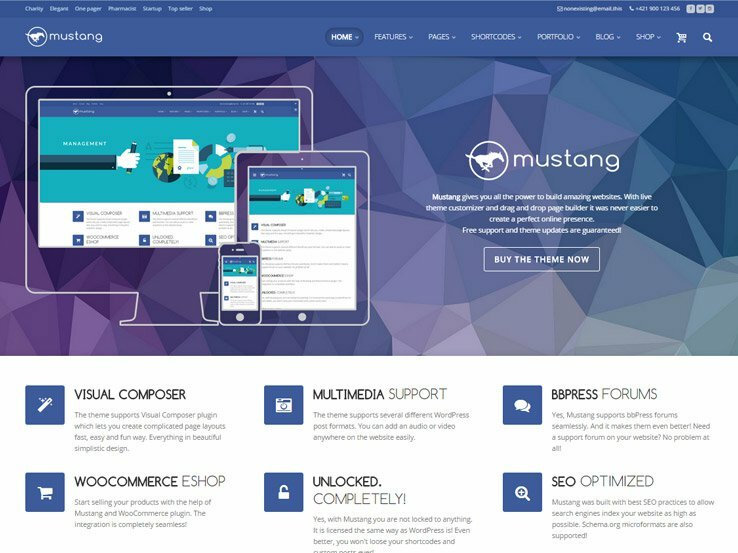 The Mustang WordPress theme is a multi-use monster with tons of templates and layouts to choose from. The theme would work well for creative agencies and brick-and-mortar small businesses alike. It offers great features for both. There are a lot of parallax effects and banner options so your website will feel lively and active. You’ll like this theme if you’re fond of Divi and Avada. It also comes with Beaver Builder support, Mega Menus, a sticky header, shortcodes, custom widgets, WooCommerce integration, multiple post formats and SEO optimization. 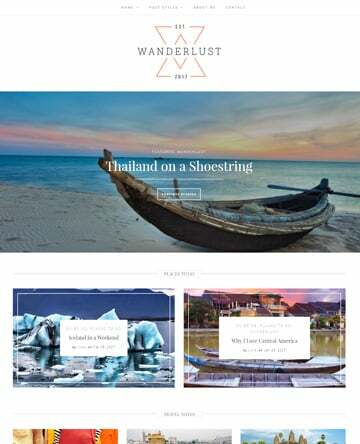 The Wanderlust theme will work perfectly for one-product businesses or technology startups that are looking for a minimal and clean design. 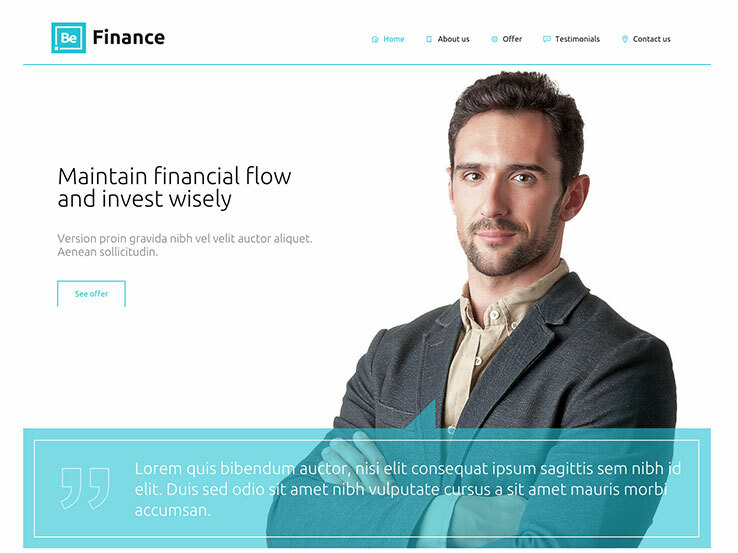 There is huge potential here for building a cool brand on this sleek business website template. It’s WooCommerce compatible and features a light and airy layout, perfect for enticing visitors to learn more about you and to encourage them to stay focused on your content. 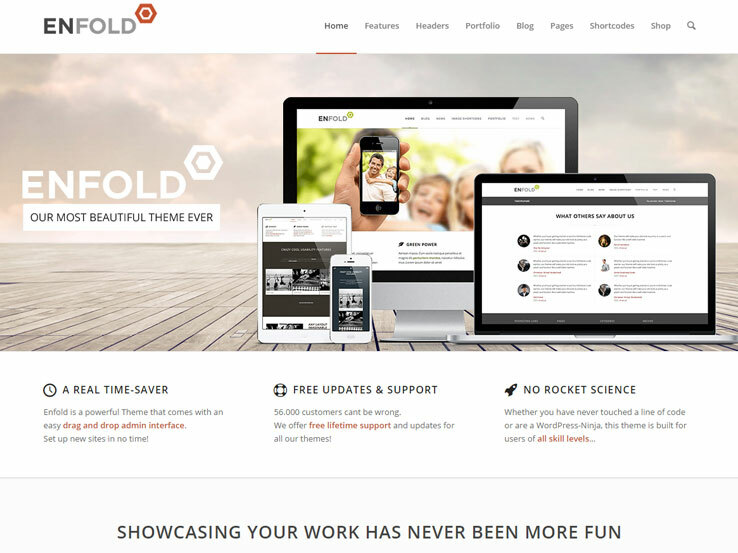 The Enfold WordPress theme is a responsive multipurpose option for those companies that need a lightweight and clean solution to show off products or services. 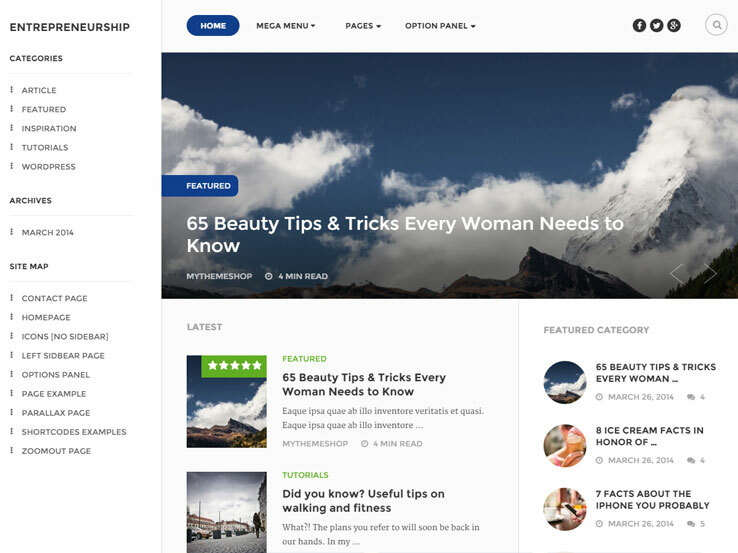 The theme offers predefined content and layouts for businesses such as churches, online stores, coffee shops, and startups. The Enfold theme has a famous two-minute setup for beginners and advanced users who may be using the theme to quickly create sites for clients. It includes one of the nicer drag-and-drop editors you can find on the market, and it provides an amazing admin area for modifying just about any area on your website. This theme includes clear documentation and video tutorials to keep you informed about features and updates, along with a built-in online shop that runs on the WooCommerce plugin. The theme is ready for search engines, and it provides several translation tools for reaching out to those who speak other languages. 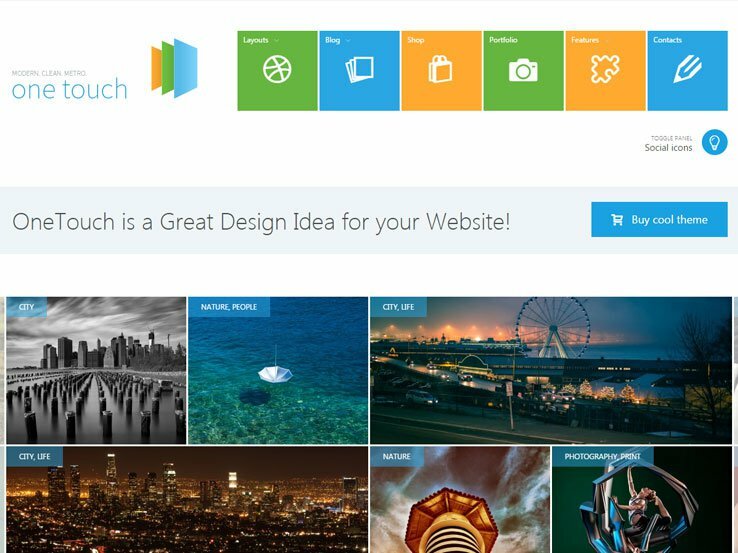 The amazing slideshow features offer solutions for parallax, layered and 3D layouts, and the sidebar manager ensures you can fit all of your best content into your website. The shortcode generator is ideal for those who don’t have much development experience, and the integrated form builder keeps you in contact with customers. 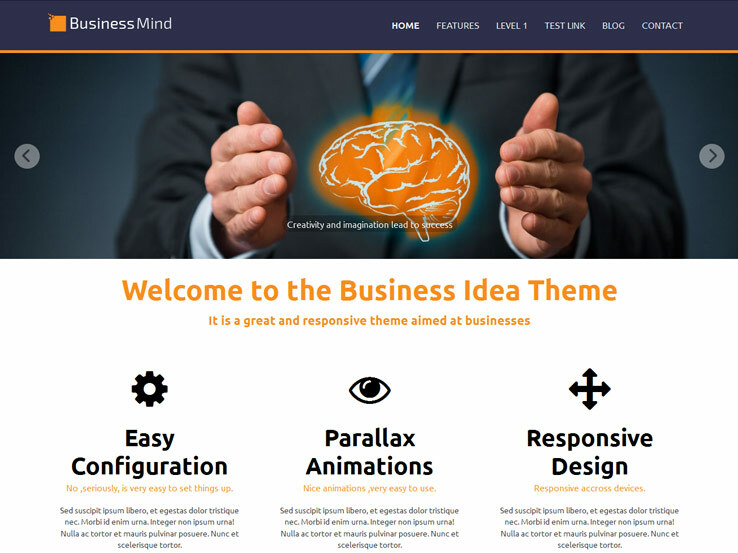 The Business Mind theme is a solution from the folks at Ketchup themes, and it has a daring style for those companies that are just getting started. To begin, Business Mind provides a responsive layout and a responsive slider for showing off your services or products and for sending people to your landing pages. The shortcodes work wonders for buttons, columns, and more, all without necessitating the use of code. This theme comes in a set color scheme, but feel free to change it to match your own branding strategy. Lots of social media buttons are included, enabling you to connect with people on other platforms. You’ll also notice that you can share your contact information at the very top of the site. A few parallax animations grab attention, while a WordPress gallery is nice for showing off your portfolio. 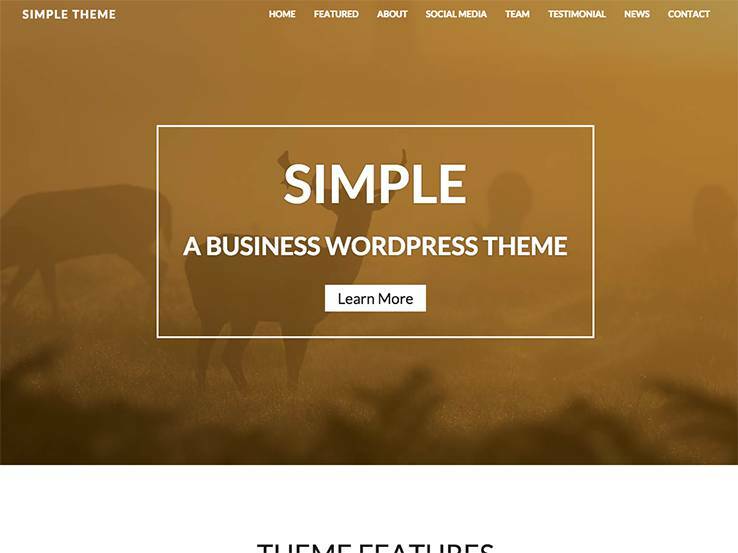 Along with testimonials, several widgets, and a services section, you can’t go wrong with the Business Mind WordPress theme for your small business. The ProMotion theme is all about giving your website a professional look and feel. This starts with a standard responsive layout, and it improves with the Slider Revolution plugin. We really enjoy this slider since it allows for overlaying text and buttons, all of which are great for sending people to different pages and products. Feel free to upload your own background to suit your brand, and use the drag and drop slider panel for quick edits. An unlimited amount of styles and colors are packed into the ProMotion theme, bringing you the ultimate customization environment. A shortcode builder gives you the tools to implement anything from buttons to columns without the need for special code. The custom widgets are handy, and the translation features boost the possibilities of reaching out to people from all the way across the world. Change around your fonts or upload your own to get creative. The best part is that you can create an unlimited amount of portfolios, increasing the number of clients you can bring in, and making it easy for potential clients to figure out if they want to hire you. The Cake theme is a fun business theme that has a lot of personality. The admin area of the theme is called Muffin Options and allows you to customize every aspect of your website. You can also use their Muffin Builder to drag and drop various elements into desired sections on any page. The theme also includes shortcodes to add extra design elements such as buttons to your website. On top of that, the Cake theme works perfectly with the WooCommerce interface, so if you plan on selling items online, this might be one of your best options. 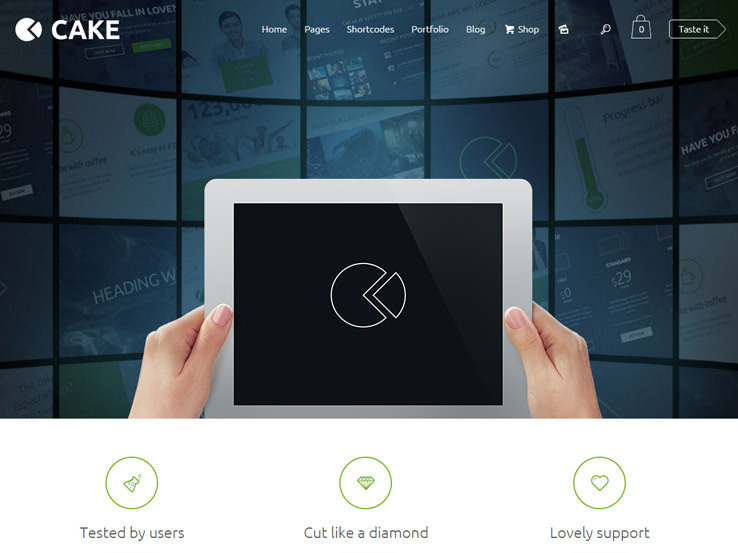 As a responsive and retina-ready theme, you really can’t go wrong with Cake. 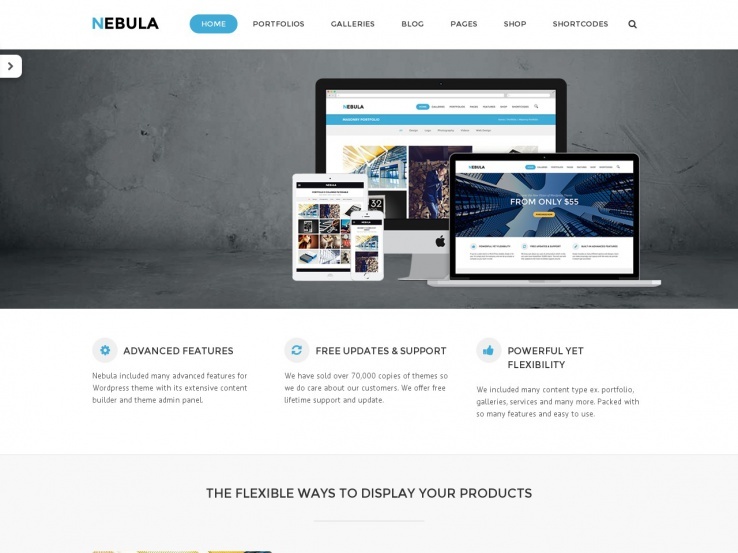 Nebula has everything you need to create a beautiful online presence. The theme includes custom typography options as well as free support should you need any help in setting up your website. The theme is translation-ready so you can easily reach a global audience. The drag-and-drop content builder makes it easy to alter the design of all your pages and your entire website. The theme is fully responsive and retina-ready so you can rest assured it will look good even on devices with smaller screens. 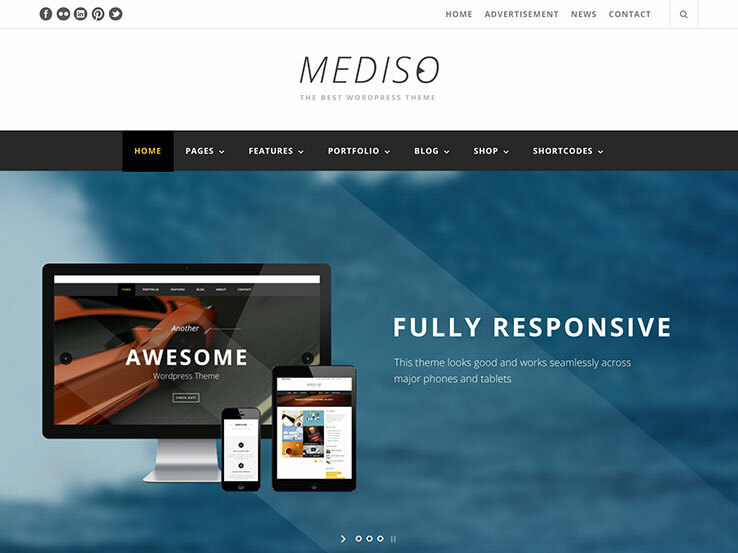 Mediso is another one-page WordPress theme with a stunning slider to show some of your most important products or services. The brand new page builder works well for all experience levels, and if you don’t like the one-page layout you can always select one of the multipage options. The theme integrates completely with WooCommerce and includes the ability to install the demo content with a click of a button to speed up the setup process. The Company is the perfect choice for a corporate website and features a responsive design that looks great on any device. The theme comes with, not one, but two premium free plugins. The first one is the Slider Revolution plugin, which makes your sliders look awesome. The second plugin is the Visual Composer, which basically helps you design your sites much faster with a drag and drop editor. With parallax effects, tons of shortcodes and WooCommerce integration, The Company theme is a solid option for anyone just starting a business website. 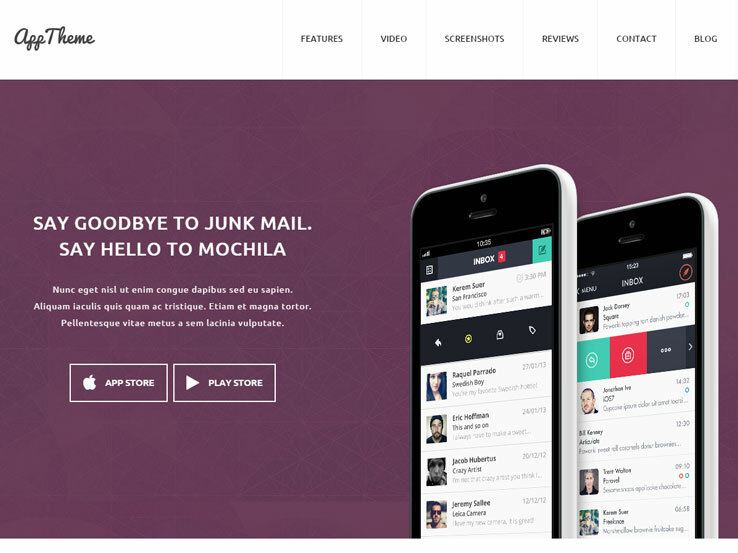 BeTheme comes packed with an abundant 90 pre-made layouts. You can incorporate one or all of these layouts with just a single click of the mouse. The layouts, headers, and portfolios all have their own customization options, which further encourages a unique site. The 200 shortcodes make it easy to add extra design elements such as buttons, accordions, and more. The Visual Composer plugin, as well as the Muffin Builder, will help you change any layout or create your very own without ever touching a single line of code. 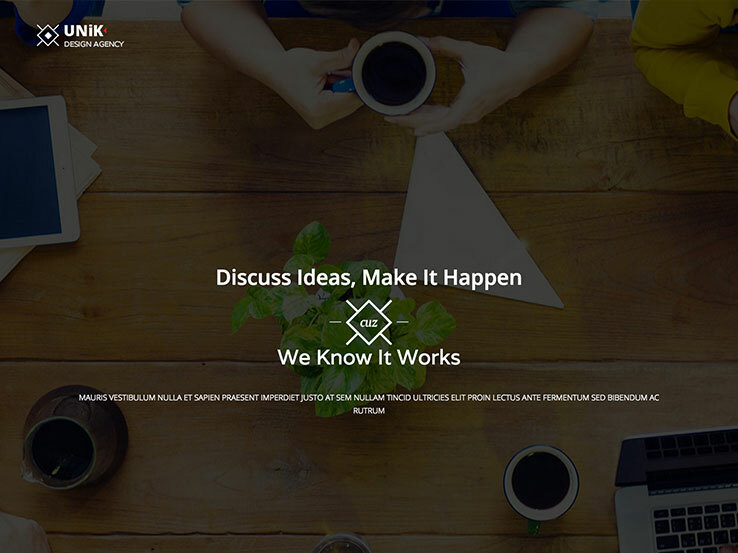 The Unik WordPress theme is an excellent multipurpose theme for businesses that crave creative components and awesome effects. Choose to display a one-page or multi-page website and consider implementing the Revolution Slider plugin for stunning animations and stylish ways to show off your products and services. The premium Visual Composer plugin is also included for free, which allows you to design a layout for your pages with a simple drag and drop interface. Multiple blog post layouts ensure that your blog posts have a unique look, and parallax backgrounds are some of the easiest ways to grab attention from new visitors. The Unik theme comes with a solid portfolio that offers a quick item preview for users to scan through your past work in a few seconds. You’ll notice that the shortcodes are available upon installation, and the theme has shortcodes for items like progress bars, image sliders, tabs, typography, and accordions. Along with over 500 font icons, custom typography, a vector map, lazy-loading images, and web-friendly fonts, the Unik theme has everything your business needs for a solid online presence. 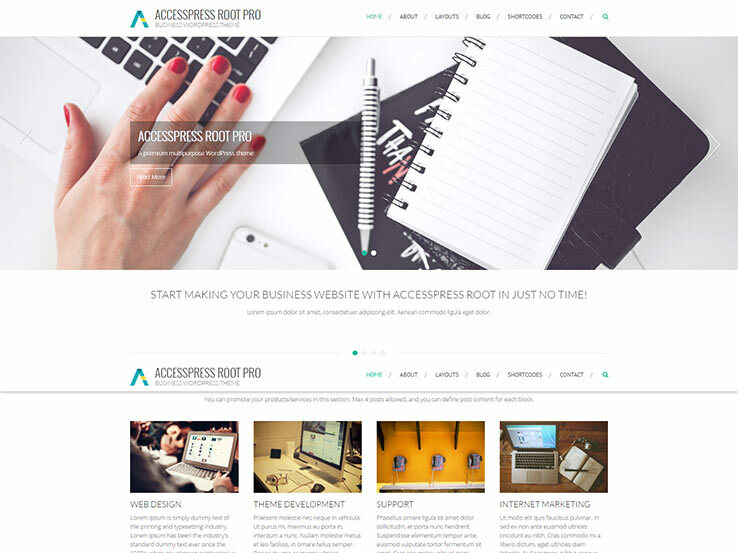 The Practice WordPress theme has a clean and minimalistic design with plenty of white space. 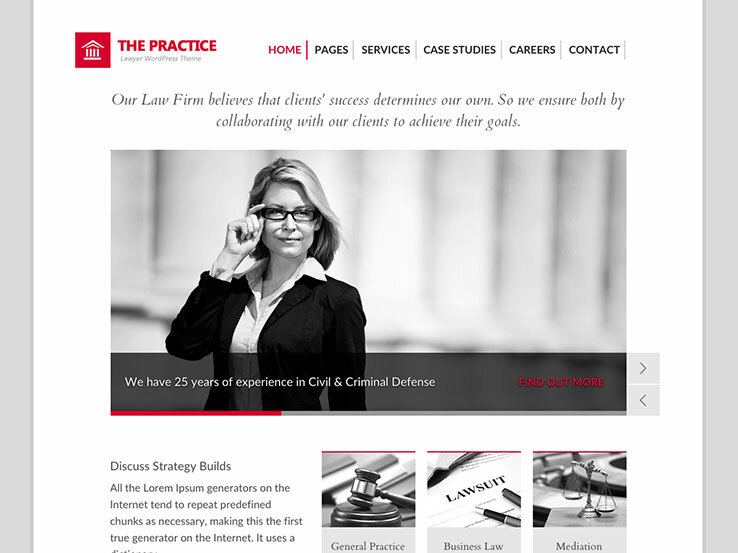 The theme is a great choice for a legal office website. The simple, responsive theme works on just about any mobile device, and it has an animated slider built with HTML, great for showing your services. Several layouts make it easy for you to add some variety to your site. Add pricing, about us, and service pages without designing a single item yourself. Modify backgrounds with the click of a button, and consider inserting your own background image to brand your site a little better. The Practice theme runs on the Fuse Framework, which makes it easy to customize your website. Additionally, the theme includes several shortcodes for adding anything from tabs to toggles without the need for coding experience. The contact form can easily be customized to include the fields specific to your industry. Add as many sidebars as needed, and add custom widgets to display additional information. Along with SEO tools, Practice offers multilingual settings so you can easily reach a global audience. Finally, feel free to import the demo content so you don’t have to start from scratch in your design process. 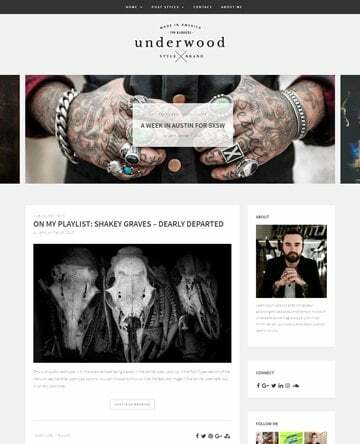 Brutal is a fashionable WordPress theme suitable for corporate, business, portfolio, creative agency websites, and more. Built on the reliable Genesis framework, it offers a fantastic design and an equally impressive set of features such as eCommerce support, content sliders, stunning animations to spruce up your design, social media integration, unlimited sections, and more. The homepage includes the option for a full-width slider or a video background to supercharge your marketing. You’ll find a clean and modern blog to share your knowledge and updates about your business, and attract more traffic to your website. The blog comes with various post types including audio, video and gallery post formats. Additionally, you’ll find Google Maps integration, easy-to-use shortcodes, typography options, and lots of elements to help you build an effective business website. Multipurpose WordPress themes are awesome because they make it a lot easier to create websites for just about any purpose. 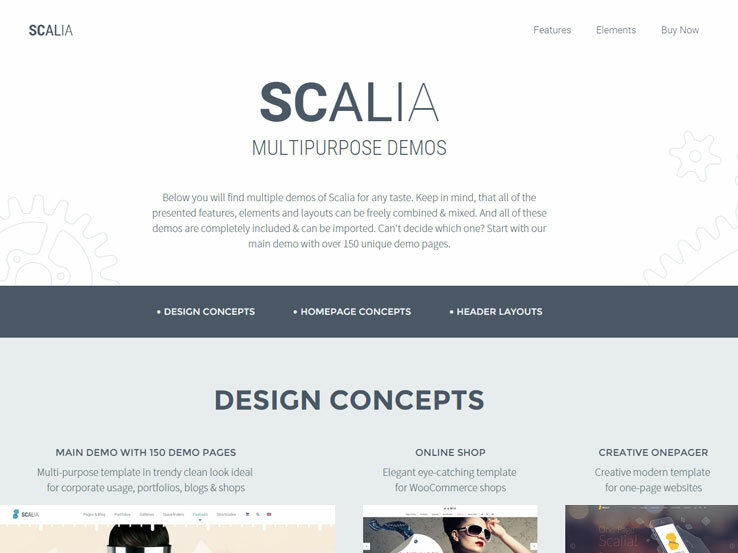 With the Scalia theme, you get 5 unique designs and over 150 unique demo pages to choose from. You can quickly setup a clean and trendy website for corporate, blog, eCommerce, portfolio, and any other business usage. This theme is flexible and fully customizable, with a powerful admin panel and unlimited colors & fonts. The template includes the option for a one-page website with stunning parallax effects that’ll captivate your visitors. Another impressive feature of Scalia is the amount of header layouts included, which add to your branding options. Choose a centred header with a top area, right logo with left menu, left logo with right menu and no top area, logo and menu on slider, video header, or image header. Furthermore, Scalia is responsive, SEO-friendly, Retina-Enabled, multilingual, and much more. Bridge is a beautiful WordPress business theme with powerful features and functionalities that can be easily adapted to fit your needs. Whether you’re looking to improve conversion rates, capture more leads, or boost your brand, you’ll find it all in this theme. It comes with over 200 demos, which you can import with a single click, and get your site up and running in minutes. Each demo includes a set of well-designed inner pages, meaning you won’t have to build from scratch pages such as services, about us, contact us, team members, and more. Bridge includes creative portfolio tools so you can showcase your work with fascinating layouts. Other notable features include WooCommerce compatibility, powerful full screen sliders, social media integration, auto update functionality, shortcodes, responsive layouts, unlimited header & menu layouts, Retina-Ready, Google Maps integration, parallax effects, Ajax transition animations, and much more. 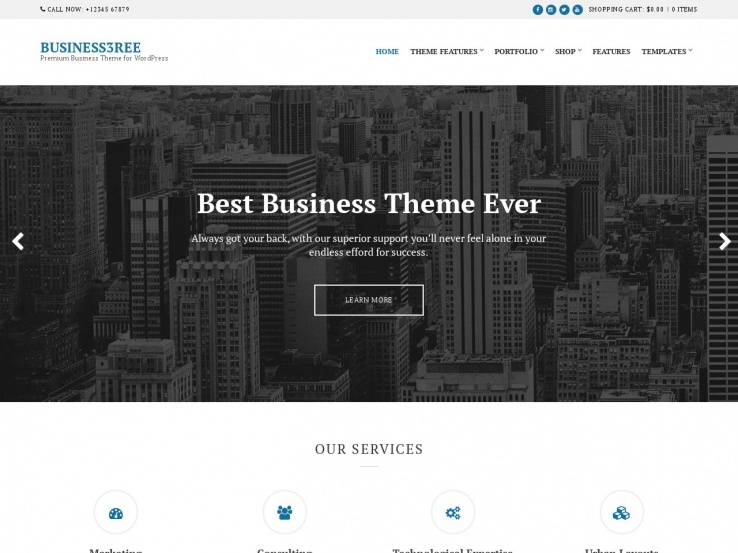 Business3ree is a powerful and flexible WordPress theme that you can use to build just about any type of business website. This clean and professionally-designed template comes with plenty of useful business features and functionalities such as eCommerce support so you can easily sell your products online, a portfolio module for presenting your previous work, an email subscription form, and sections for your services, team members and partners. To help you build your homepage quickly even with no coding experience, Business3ree includes a drag and drop pagebuilder. You’ll also find custom widgets to add more functionality, social media integration and SEO capability to help your site rank higher in Google, Bing, Yahoo, and other search engines. In addition, flexible theme customization options are included, so you can easily tweak the template to match your style and branding needs. Are you looking for an elegant and fashionable website for your hotel or resort business? 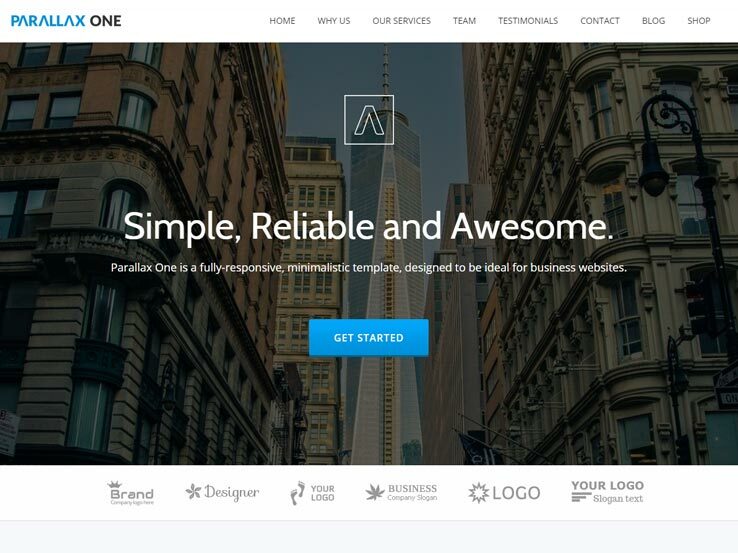 If yes, the SixtyOne WordPress theme might be a perfect choice for you. Designed specifically for hotels and resorts, this classy template comes with a fully integrated booking form as well as room management functionality so you can easily create pages for your rooms, complete with beautiful sliders, room descriptions, pricing and amenities, among other features. 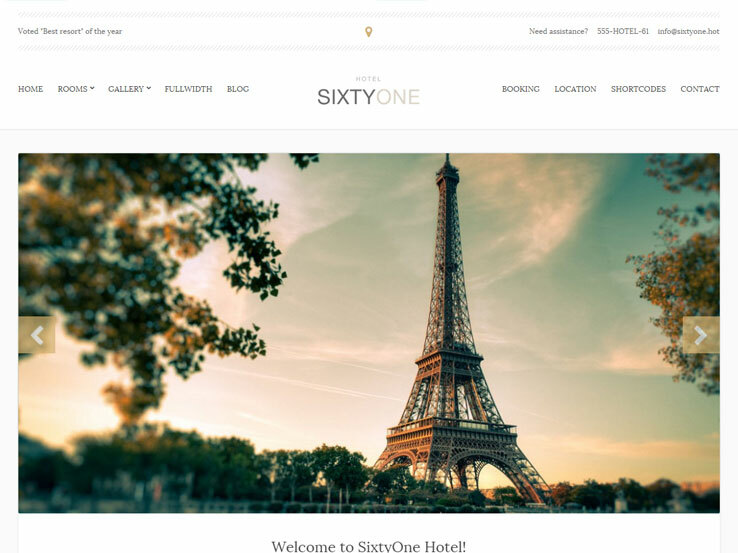 The SixtyOne theme offers two homepage layouts to choose from, four custom post types (galleries, rooms, slider items and testimonials), and custom widgets so you can easily extend your site’s functionality without messing with code. In addition, this template is Retina-Ready, fast-loading and regularly updated to ensure your site remains secure and compatible with new WordPress releases. 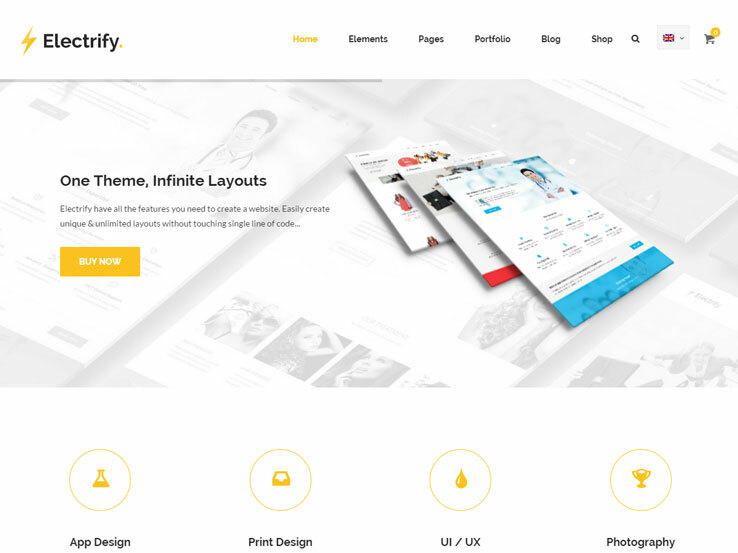 With over 30 homepage layouts to choose from, hundreds of elements, and easy-to-use customization options, the Electrify WordPress theme can be used to build any type of business website. This flexible and elegant template makes it a lot easier to establish a solid online presence for your small business within minutes. Simply choose from one of the pre-made page layouts, or create your own custom layout without touching a line of code using the drag and drop page builder. Lots of widgets and shortcodes are available for organising your content while the various header layouts and color schemes add to the variety of branding options you get. We also love this theme’s portfolio module since it offers several different layouts and hover effects to enhance how you present your previous work. In terms of extras, the Electrify theme comes packed with premium plugins, meaning you can expand you site’s functionality without spending additional money. Finally, this template supports eCommerce and is responsive and Retina-Ready. 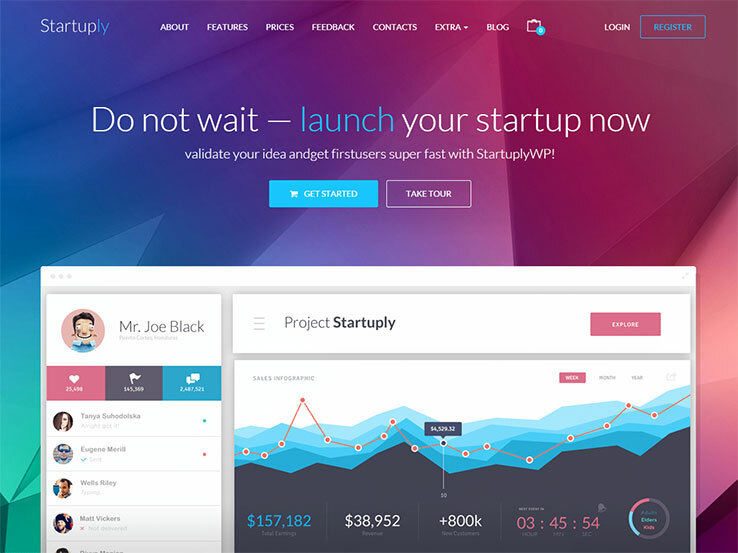 Want a clean, modern and professional website for your startup or small business? If yes, then check out the Quince WordPress theme. This template comes with a solid set of useful features and lots of customization options that make it the ideal choice for building a modern business website. 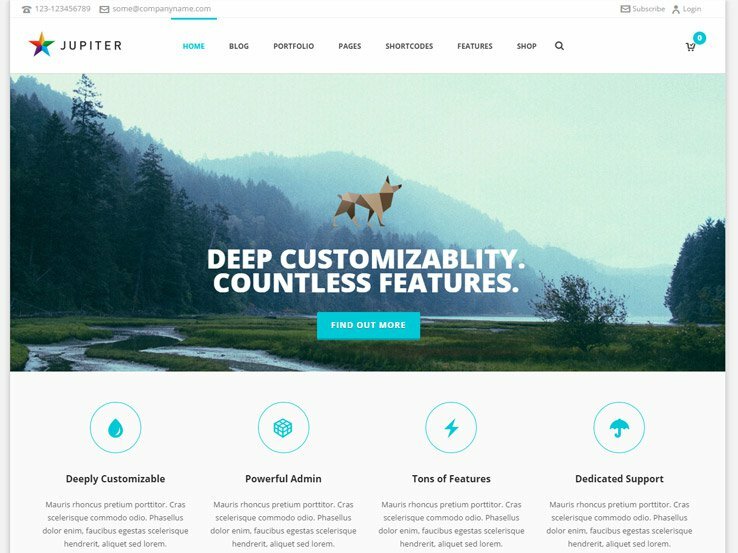 You’ll find a powerful drag and drop page builder so you can create your pages faster without touching code, a stunning portfolio module for showcasing your works, WooCommerce integration to easily set up an online store to sell your products, and various page templates including about us, FAQ, team members, galleries, and testimonials to help enhance your credibility and acquire more business. The front page features an elegant full-screen slider, complete with text overlay and a call to action button to drive visitors further into your site. The blog includes several clean layouts, making it perfect for sharing your expertise and attracting more traffic to your website. In addition, the Quince theme is fully responsive and Retina-Ready, optimized for SEO, and translation-ready so you can easily reach your audience in different languages. Bodega is an elegant WordPress theme with cutting edge features for your small business website. 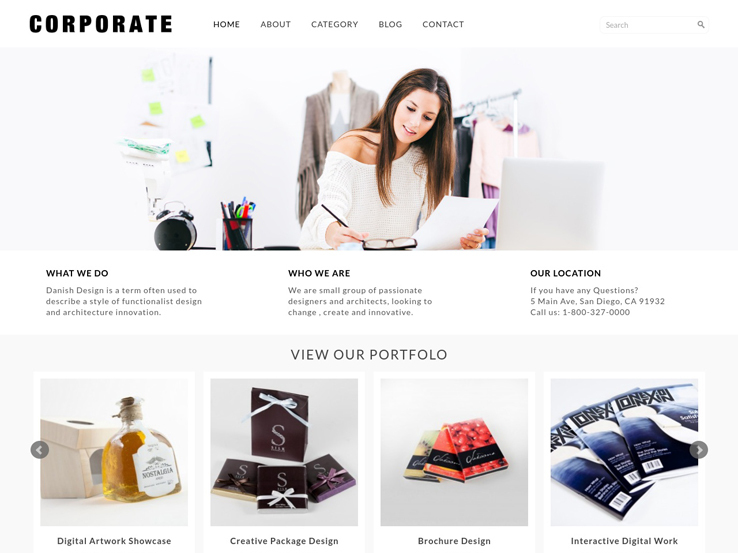 Whether you’re a startup, bakery, agency, restaurant, creative, fashion store, or shop, you’ll find 30 gorgeous homepage layouts designed to fit the needs of a particular business. You can also create your own custom layouts using a simple drag and drop page builder that doesn’t require coding experience. The beautiful full-width sliders come with stunning animations, making them great for highlighting important aspects of your business and reeling in visitors. In addition, the Bodega theme integrates nicely with the WooCommerce plugin so you can quickly set up an online store. You’ll also find social media buttons to make it easy for people to share and follow you on relevant social networking sites, portfolio sections for showcasing your work, multi-language support, and much more. 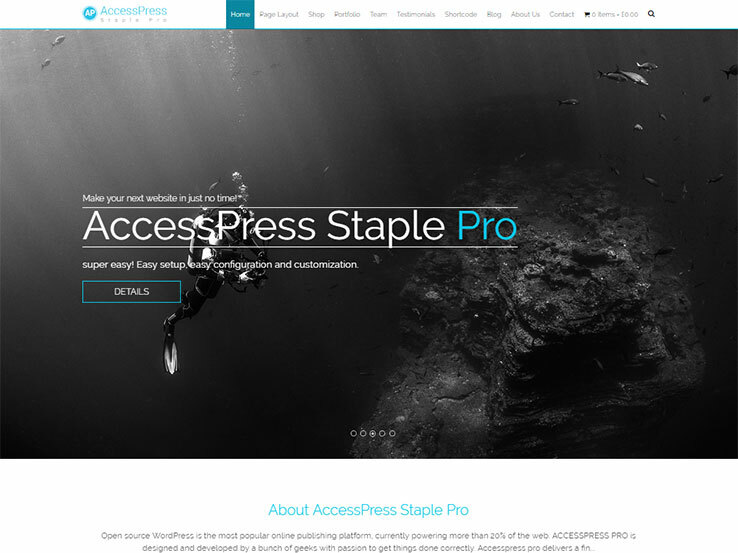 Designed by the folks at AccessPress, Staple Pro is a modern, stylish WordPress multipurpose theme with lots of useful features and customizable options. You can use it to build any type of business or professional website for small businesses, photography, travel, corporate, agency, minimalist sites, and much more. To start off, it comes with several modern and beautiful page layouts for different purposes, header and menu options, and plenty of widgets and shortcodes for organising your content. 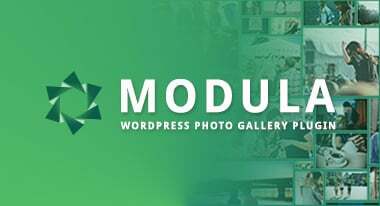 There are many useful modules for business websites, including portfolios to showcase your work, stunning testimonial sliders for social proof, team member sections for displaying your team, and a simple and clean blog for sharing news and any ramblings you may have. Staple Pro’s other notable features include one-click demo import, multiple color options, eCommerce support, mobile-friendly design, and an easy to use theme options panel for configuring your site. 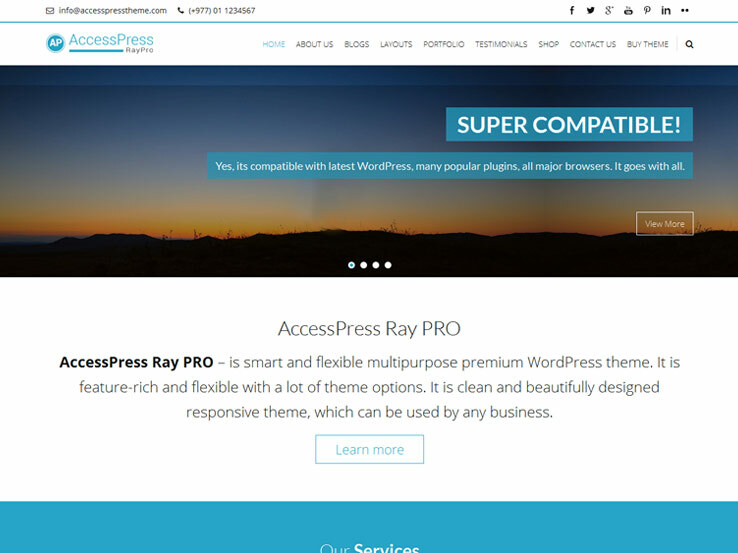 Ray Pro is another modern multipurpose WordPress theme from AccessPress. Perfect for any small business looking for a clean and minimalist website, the template offers a rich set of features including configurable homepages with different header styles, social links to help grow your business on social networking sites, plenty of widgets and shortcodes to easily add more functionality to your site, and several page layouts for creating pages such as team members, contact us, testimonials, and portfolio sections. The responsive design ensures your site looks awesome on mobile devices while the Google map is great for letting people find your location easily. Use the blog to attract more traffic and build your authority by sharing thought-provoking articles. The Ray Pro theme also includes well-thought call to actions for converting visitors into customers, search engine friendly code, a powerful theme options panel to easily control your website, eCommerce support, and much more. 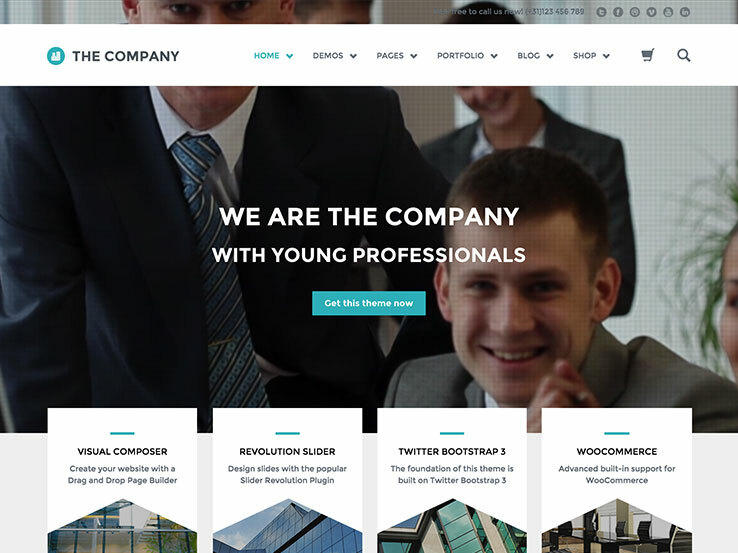 Corporate is a clean and professional WordPress theme with ample negative space that draws attention to your content. With modules for presenting your services, previous work, testimonials, team members and more, the template is a great choice for small businesses and startups. The pricing tables module is perfect for letting potential customers compare your pricing plans and packages while the subscription form will help you collect email subscribers for your business. The Corporate theme is fully responsive and is optimized for speed and search engines. It also integrates well with social media, with buttons for people to easily follow you and share your content. The top of the theme allows you to add your social icons, site feed, phone number, and email address so people can easily get in touch. You’ll also find Google maps support to easily display your location and a user-friendly options panel for configuring your site. 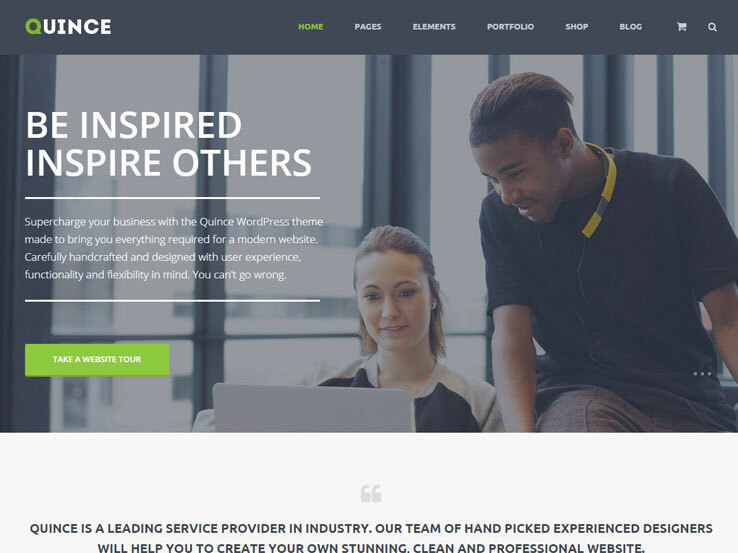 From MyThemeShop comes OnePage, a slick WordPress theme that’s perfect for creating a single page website for your business. The template features a creative design with neatly-arranged sections for presenting your services, team, portfolio, clients, testimonials, pricing tables, and more. The front page features a large and attractive full-screen slider that spruces up your site’s design, and call to action buttons right below for inviting people to request a quote or view other important sections of your website. Additionally, you’ll find a simple and clean blog to share your knowledge, grow your authority, and attract more site visitors from search engines and social media. Other key features include clean and fast loading code, a responsive design that adapts to any screen size, unlimited colors, and an easy-to-use theme options panel for customizing your website. 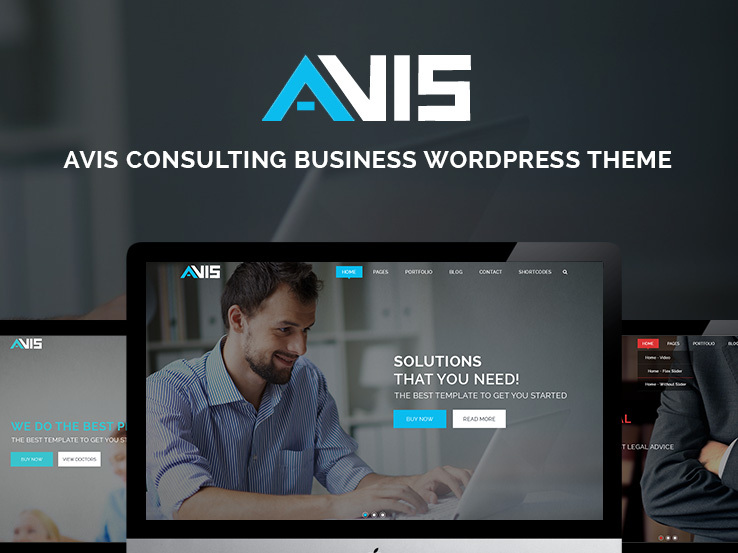 The AppTheme WordPress theme was specifically designed for app sites but its multipurpose nature makes it a great option for companies, startups, and small businesses. You can use it to showcase your portfolio, products, customer reviews, and more. To make it easy for potential customers to reach you, it includes a clean contact form so people can quickly send you a message. There’s also room to display your address, email and phone number. This template is highly customizable, meaning you can style every aspect of your website to look and work just the way you want – from fonts and colors, to backgrounds, widgets, sections and more. Since the theme is translation-ready, you can easily reach people in other languages. Also, the AppTheme is fully responsive and optimized for SEO and conversions so you can get more sales. 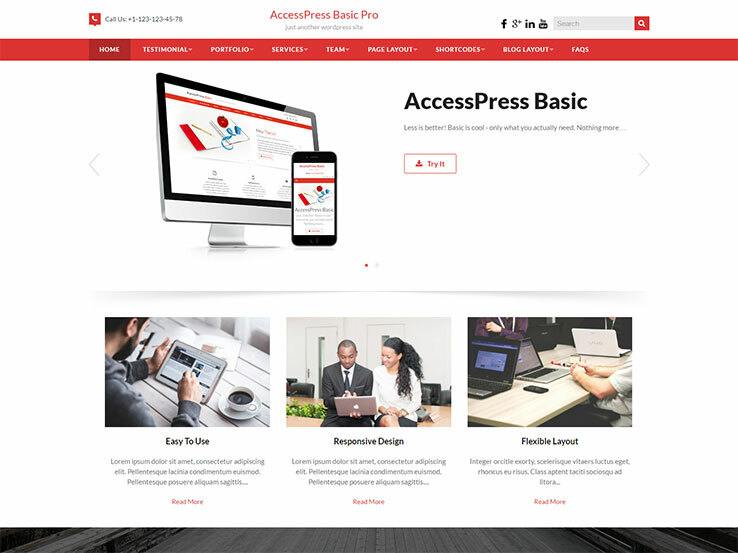 We like the Basic Pro theme because unlike many other WordPress templates out there that are bloated with lots of unnecessary features, the developer tries to include only what you need to run a successful site for your business. It includes useful modules such as testimonials for enhancing credibility, portfolios to present your amazing work, as well as service and team sections. Your logo sits nicely at the top along with your social media links and contact information so people can easily get in touch. Customizing the template is easy and enjoyable, meaning you can quickly adjust colors, fonts, backgrounds, layouts, and other aspects to match your brand. You’ll also find Google Maps support, eCommerce integration, pricing tables, a blog to help grow your business, and much more. If you’re starting a creative business or agency, then the SpaceType theme might be a perfect fit. 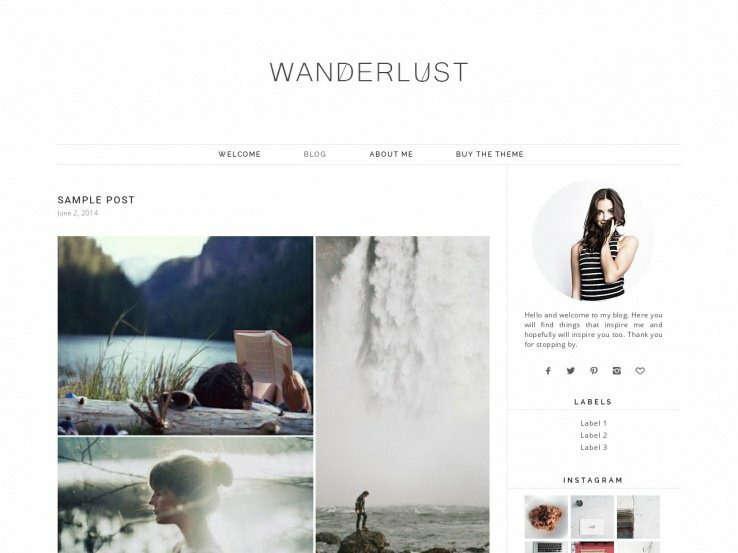 This theme puts images first so your portfolio or products will be front and center. The design is simple and clean with lots of well-balanced negative space. The theme is fully responsive and is retina-enabled from the get go, so your images look fantastic to all viewers, even on hi-def mobile devices. So, use the meta description discipline you find within the WordPress SEARCH ENGINE OPTIMIZATION plugin to put in writing a meta description. thanks.. very nice.. i love zerif theme.. Yes, Zerif is a beautiful theme. Thanks for sharing! What is your favorite feature of Bouncy? Would be grateful for more feedback. Hi Evan, thanks for sharing. Excited to see huge number of themes all together in one post. Is parallax design and one page themes are good for SEO ranking? Hi Jay,\n There are numerous factors that play a role in SEO rankings, and most deal with content rather than design. 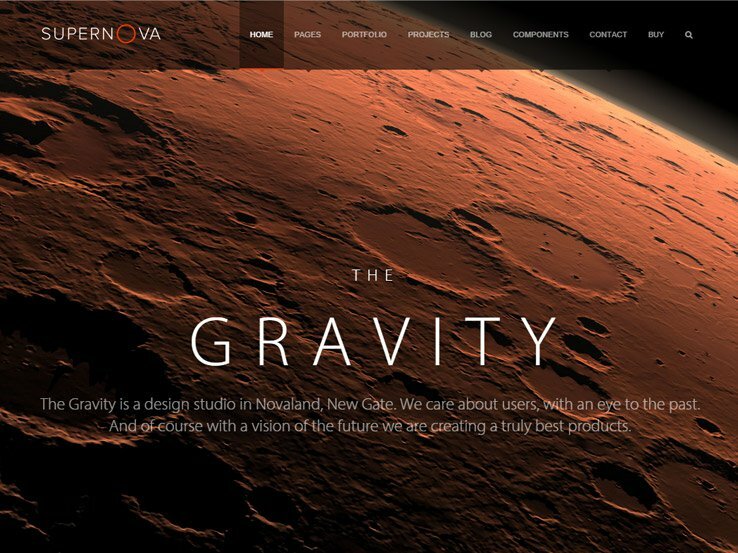 A parallax design can be both beneficial and harmful, it is just the way you use it. Make sure you have relevant information on your page with a consistent topic throughout. Many companies specialize in helping optimize your site, and I would suggest reaching out to gather more information on this topic. Hope this helps! Hi William,\n Thanks for suggesting the Business Services Theme to our readers. What makes it stand out from the other themes out there? Thanks! We appreciate the feedback! i’ve already used jupiter themes.. it’s very nice and clean. These themes are all great and very fancy looking, but if you’re in need of a more basic theme which makes it easier to customize it to your liking, definitely check out Magazine Basic (and it’s paid version, Magazine Premium). They look fine out of the box, but with some HTML and CSS tweaks you can make these themes do all sorts of themes and use them for a wide variety of sites. I use them for pretty much everything. Great! Thanks for the suggestion!